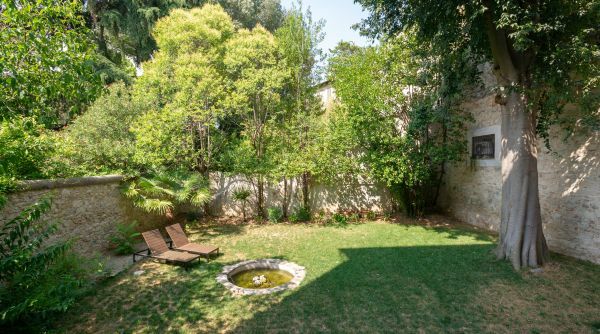 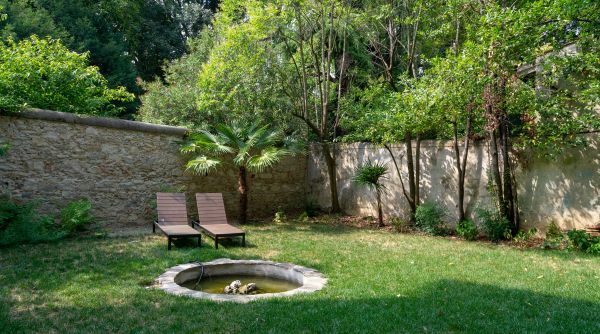 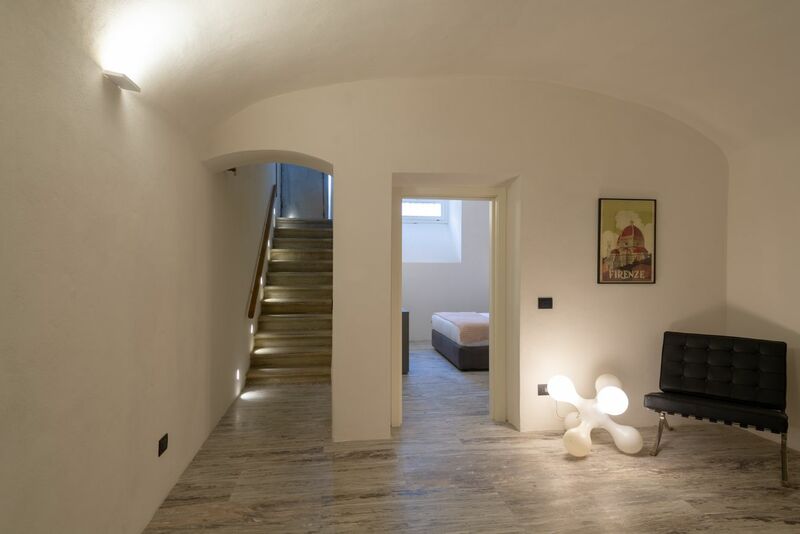 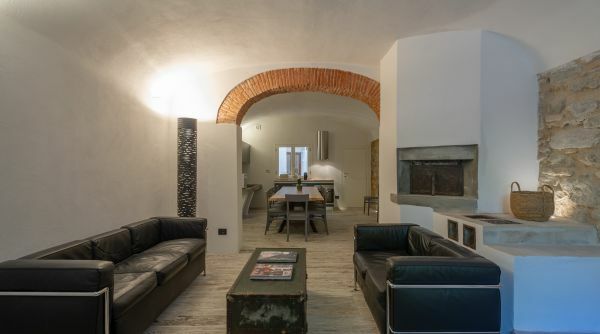 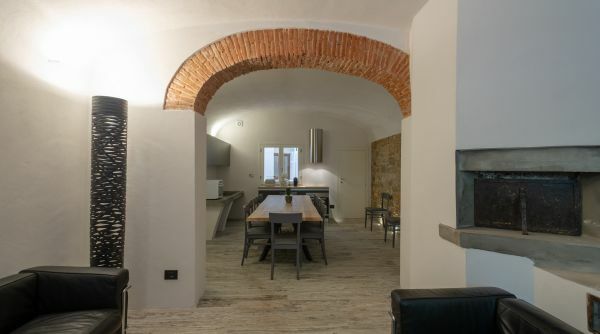 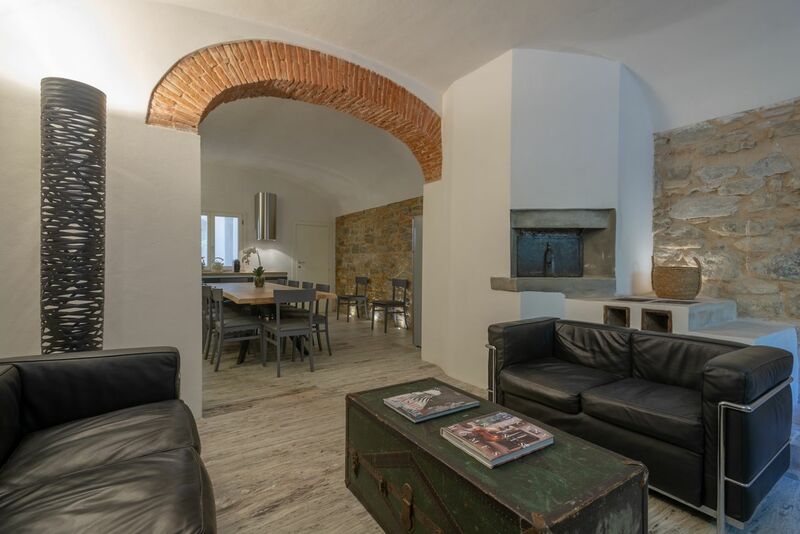 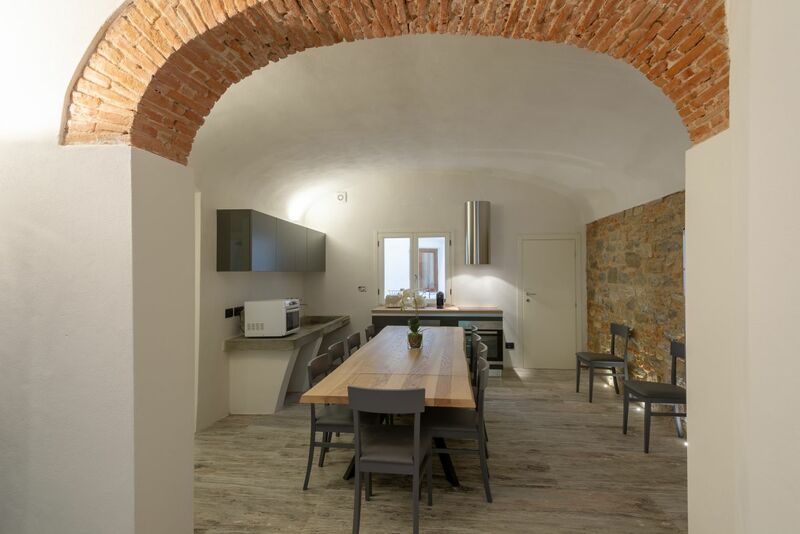 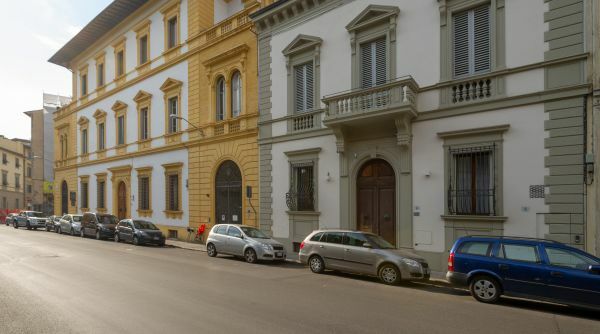 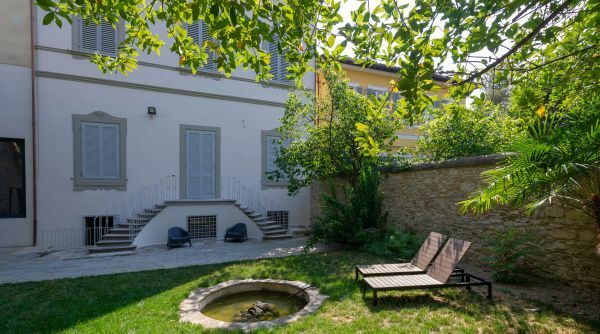 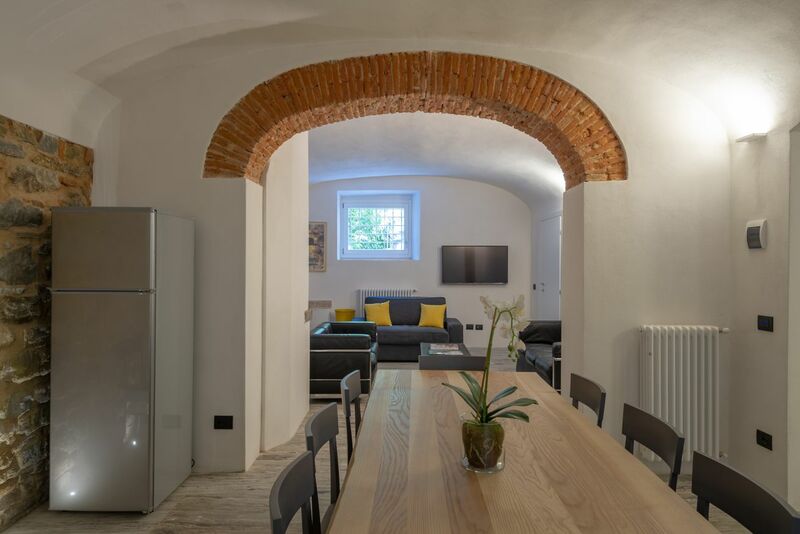 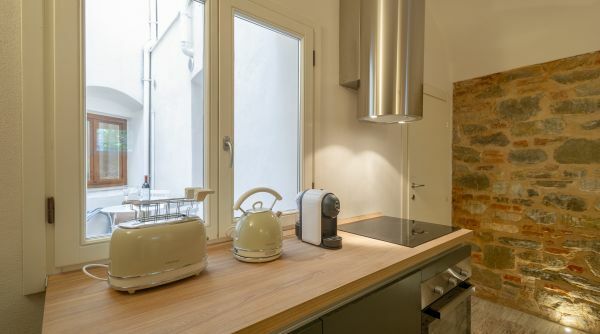 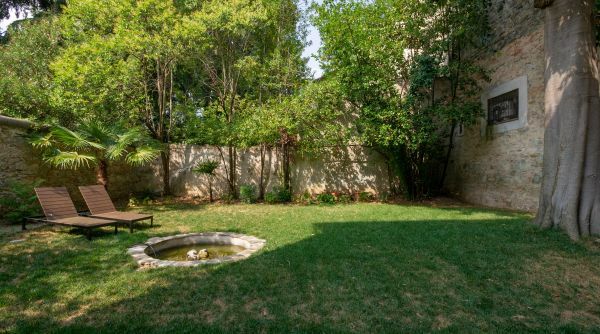 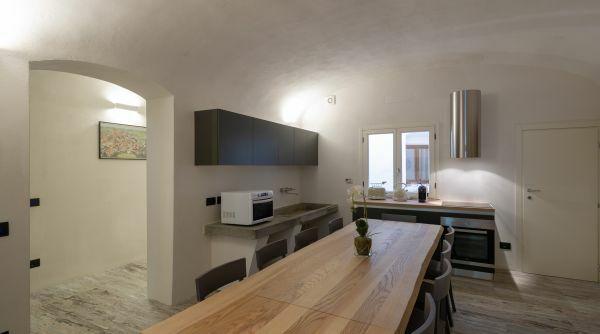 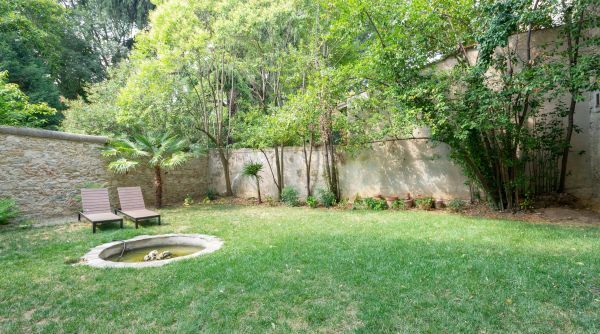 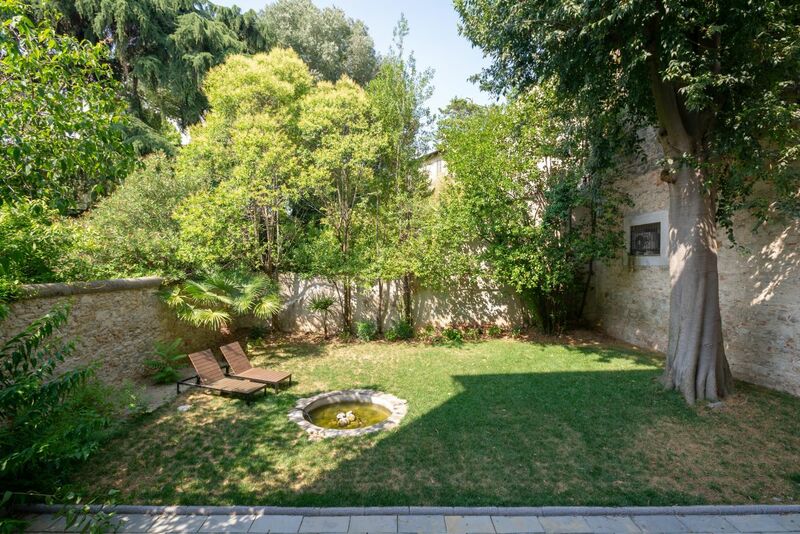 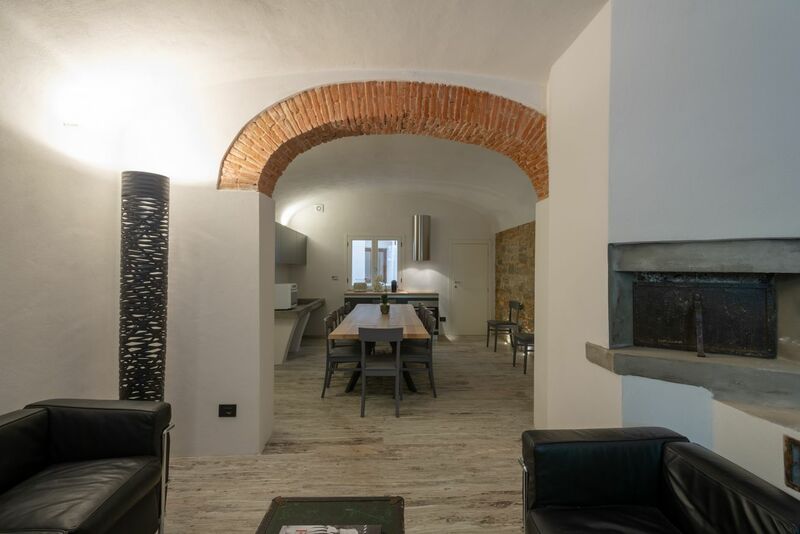 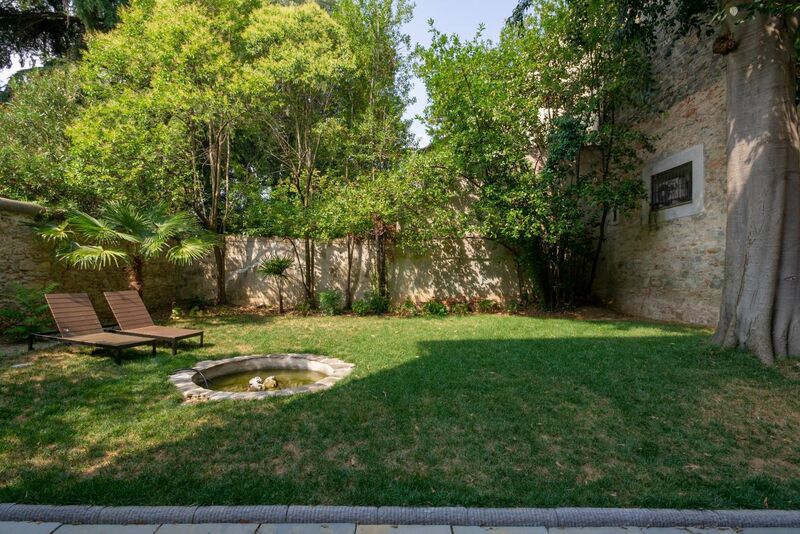 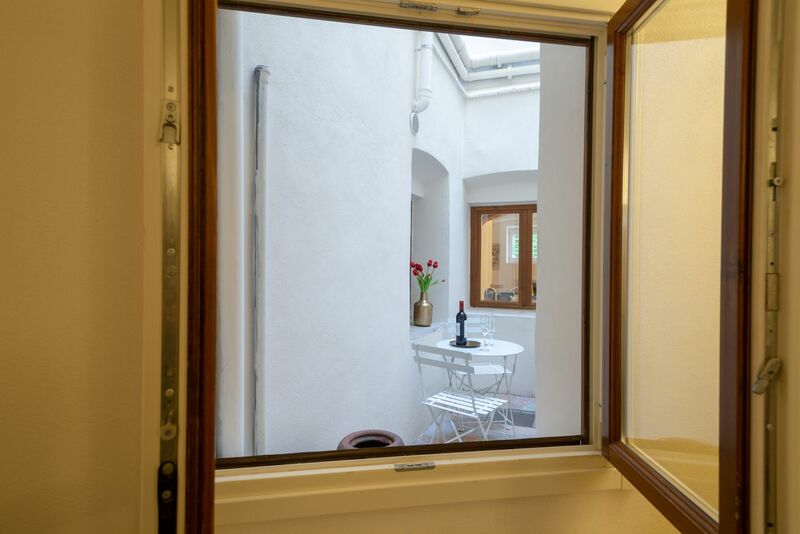 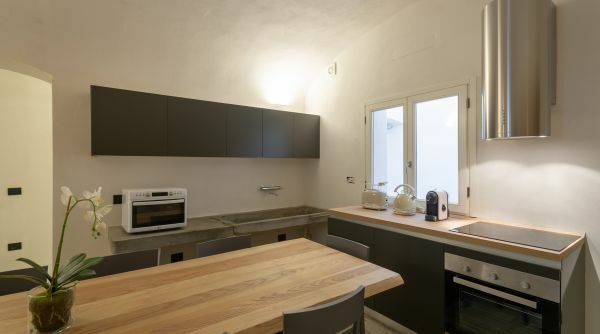 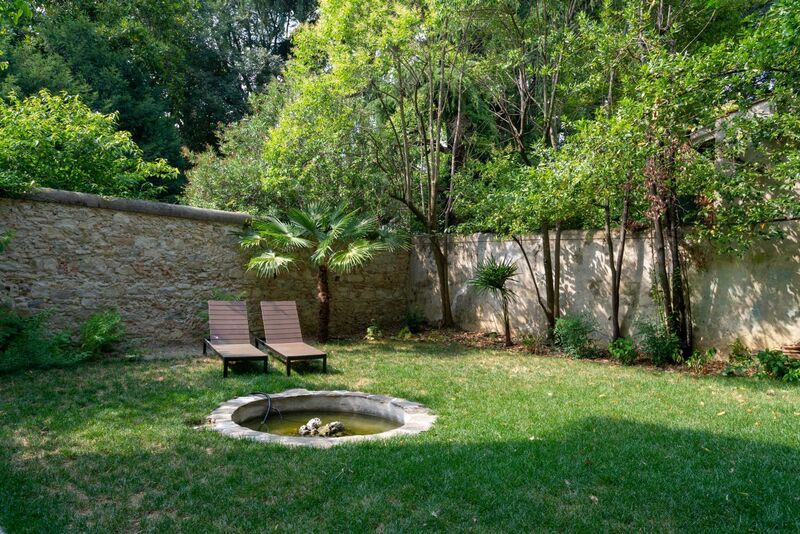 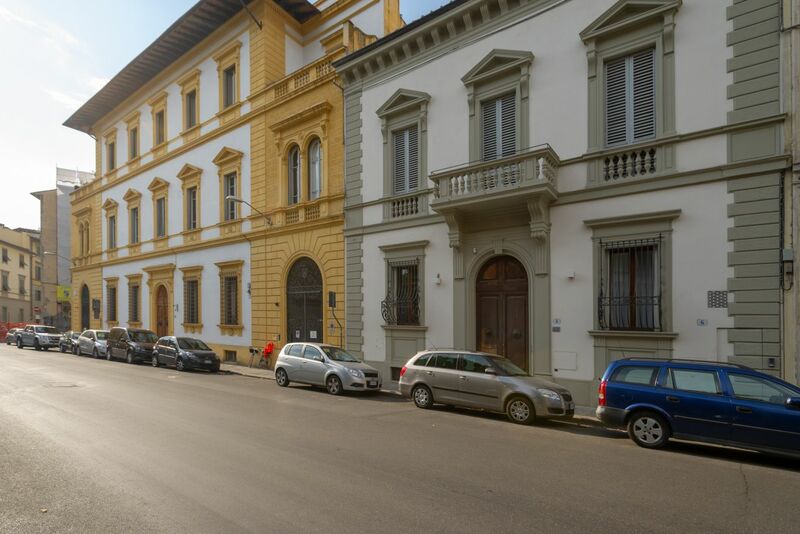 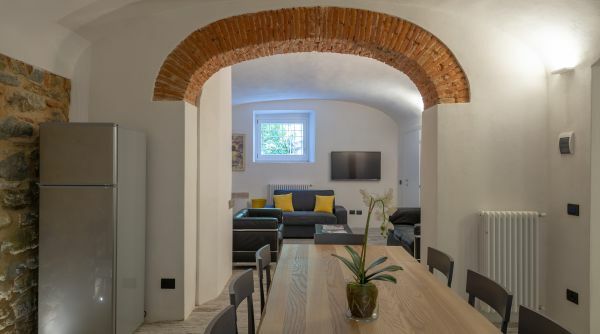 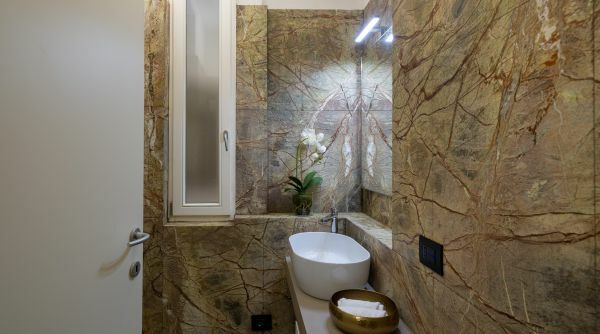 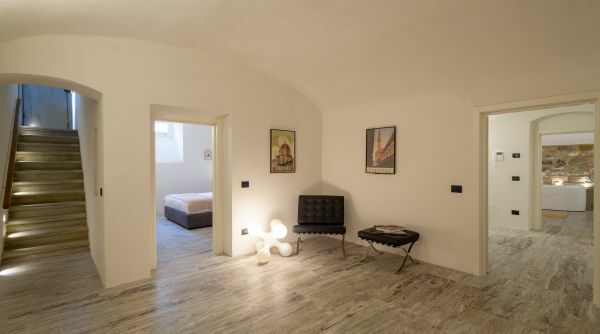 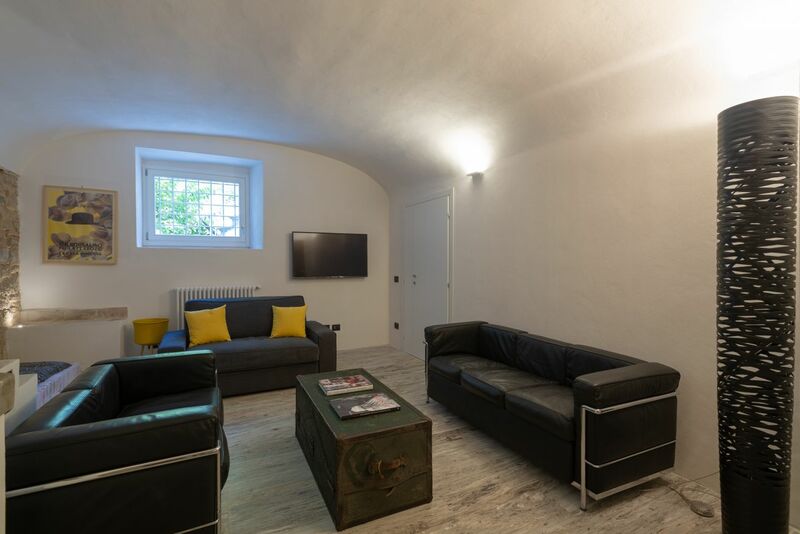 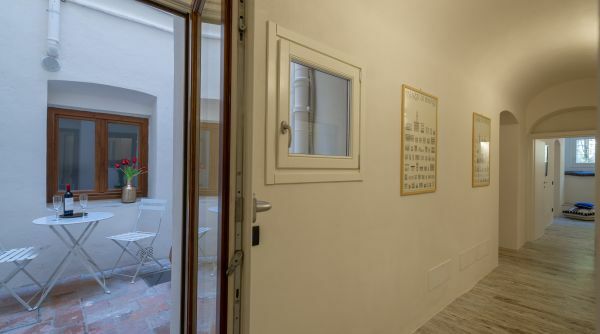 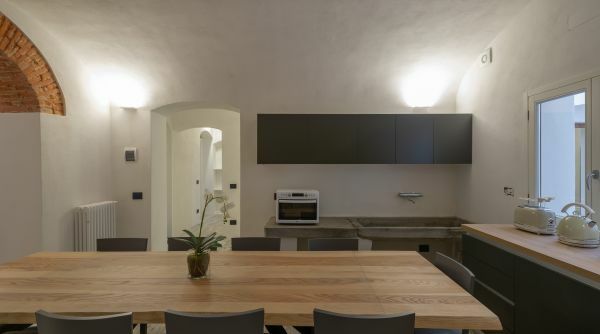 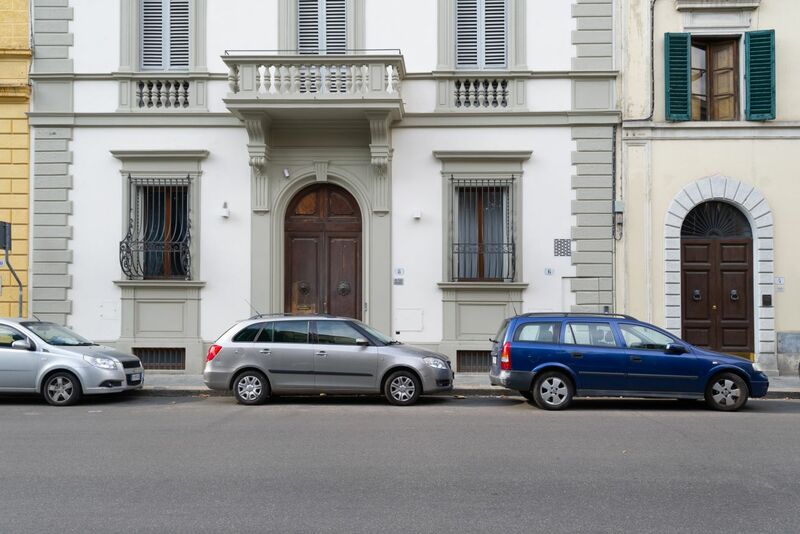 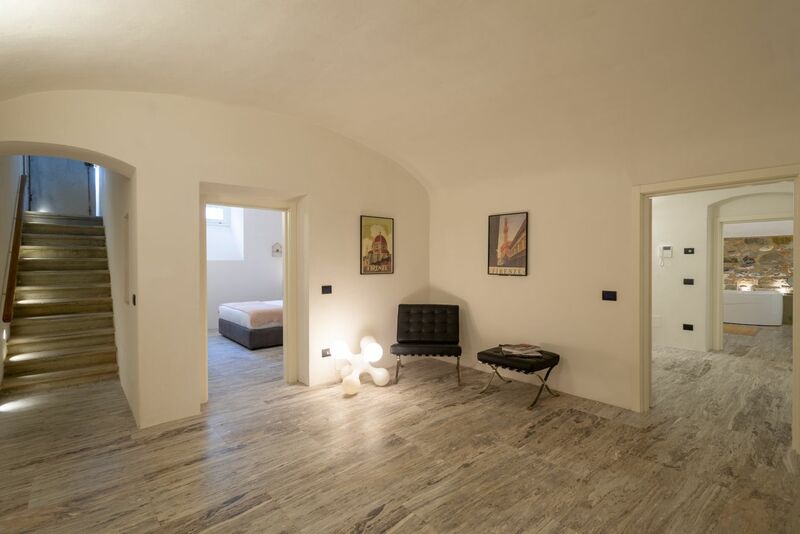 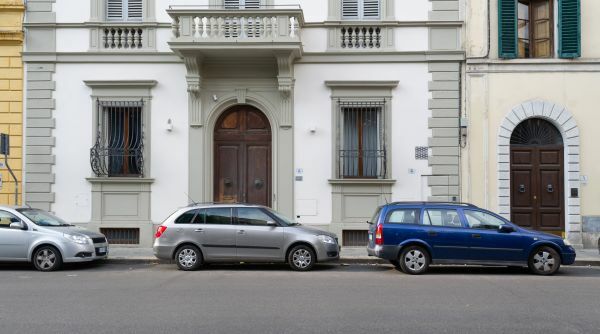 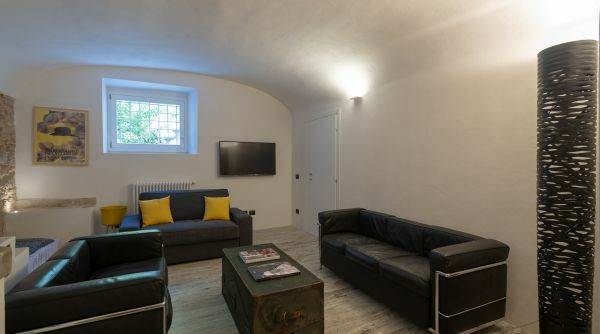 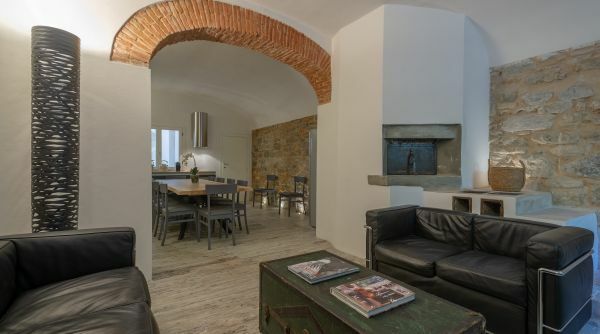 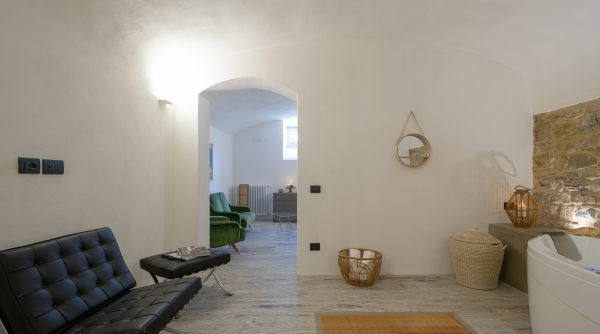 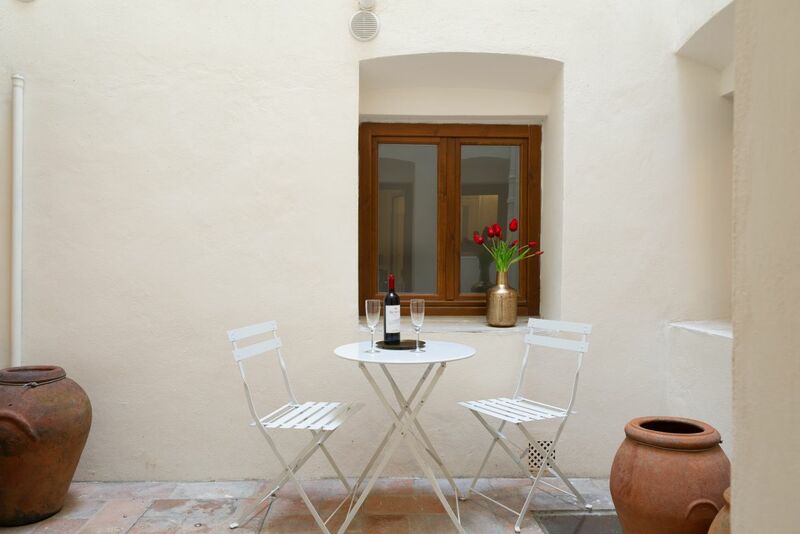 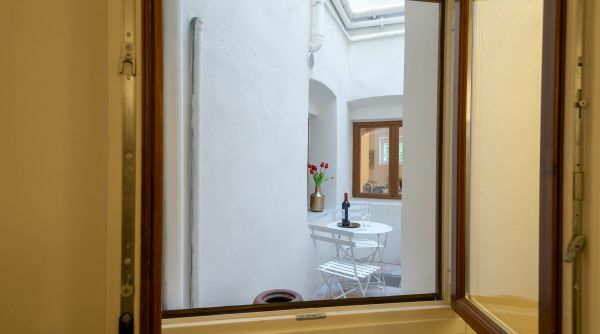 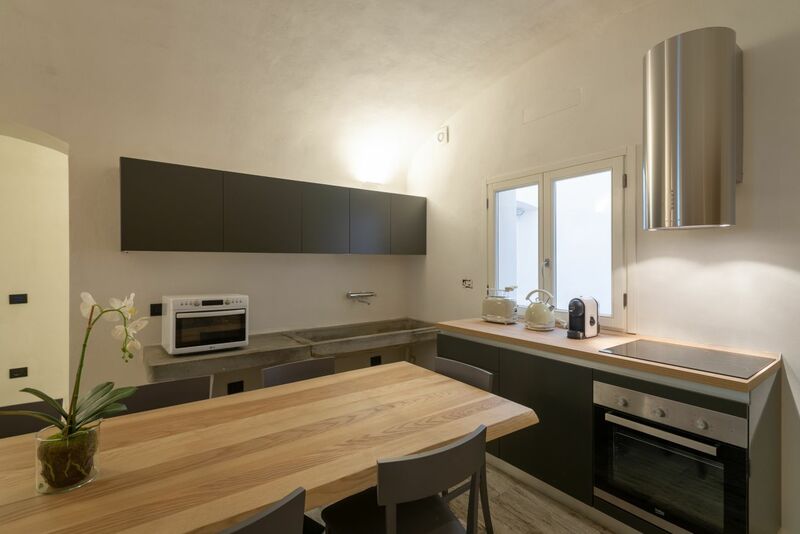 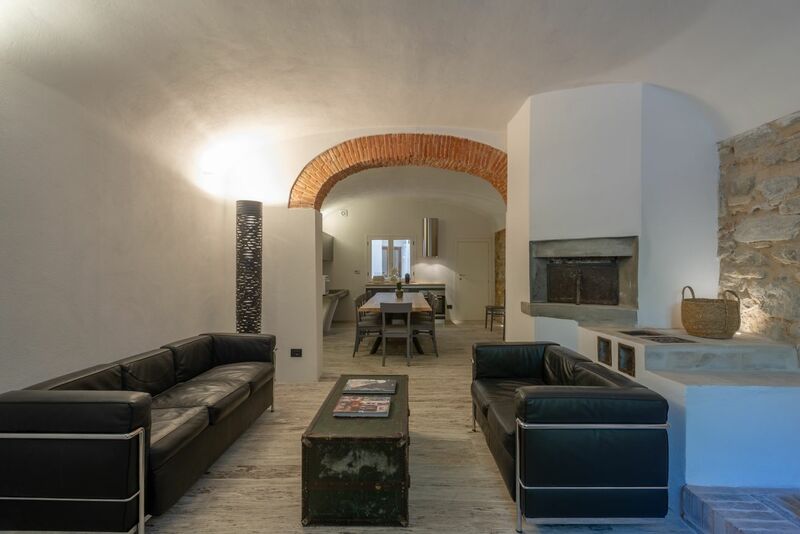 This apartment is located on the edge of the historic center of Florence offering the best of both a quiet location and the proximity to all the main attractions and entertainments the city has to offer. 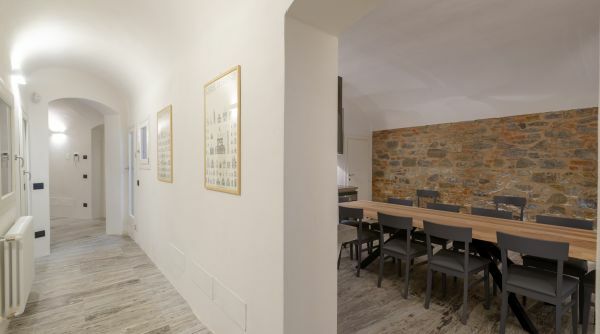 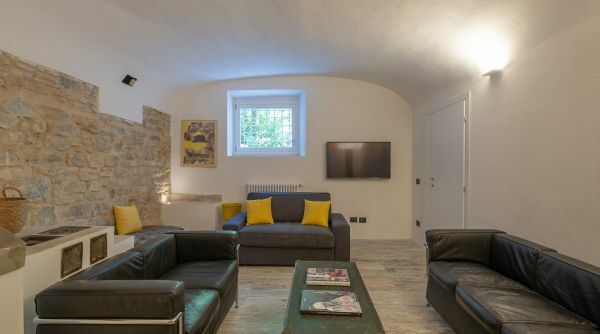 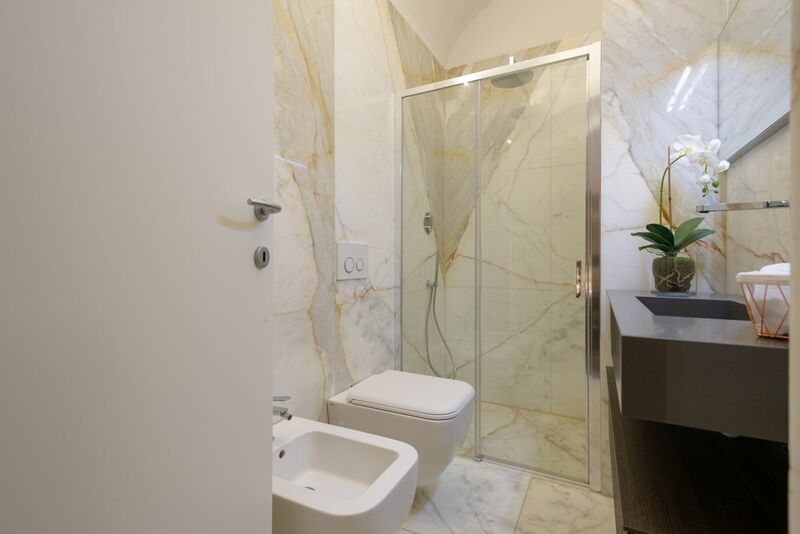 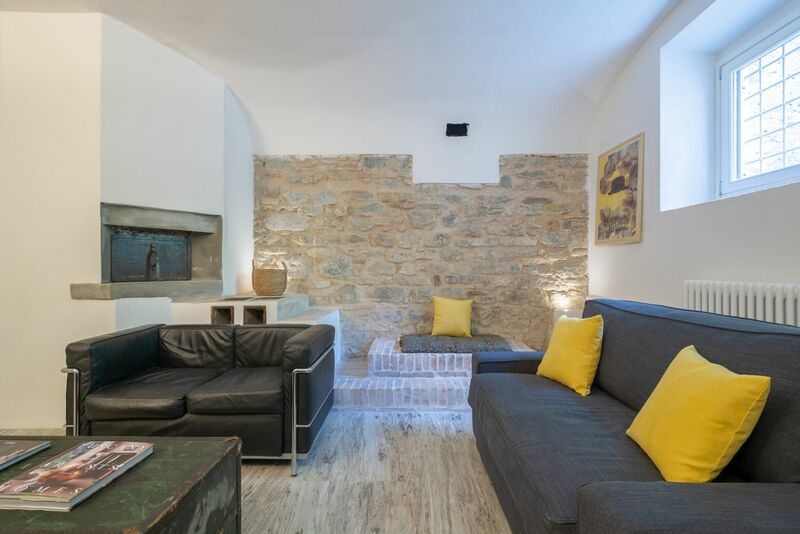 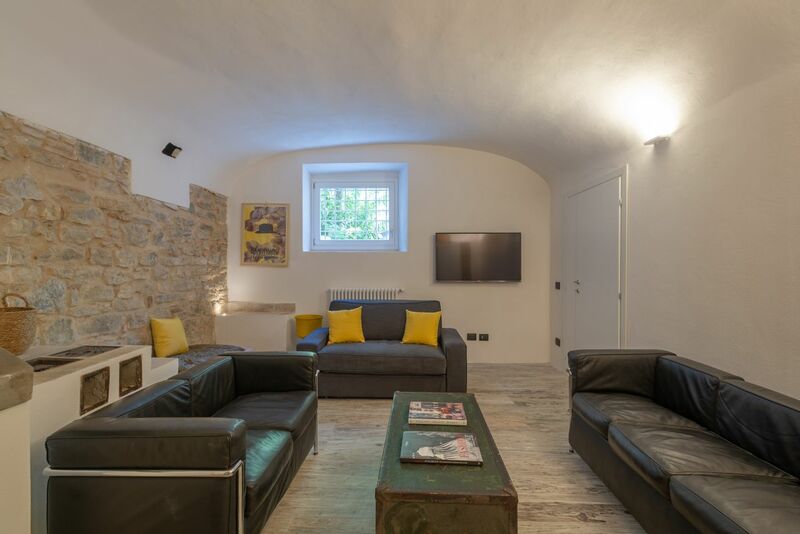 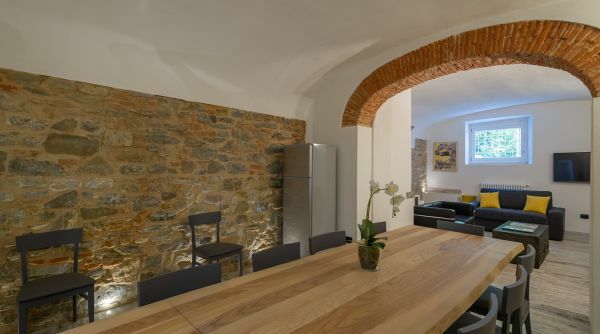 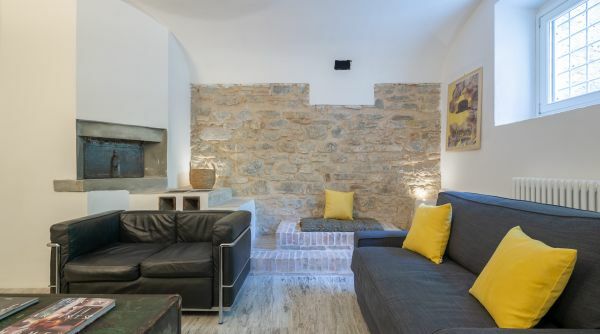 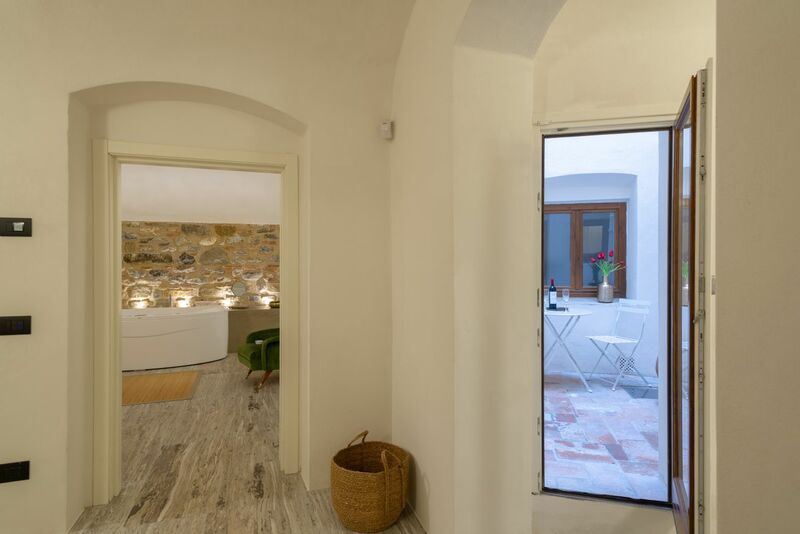 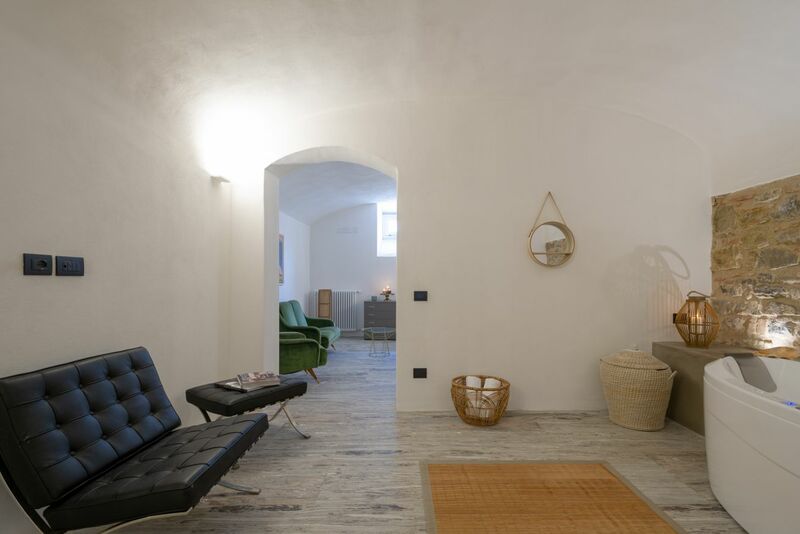 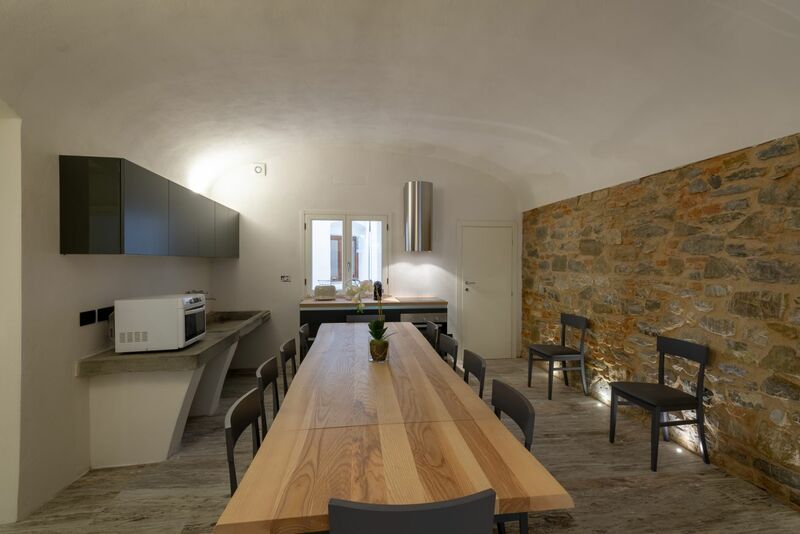 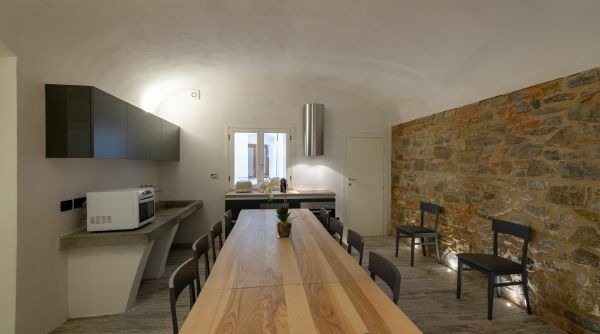 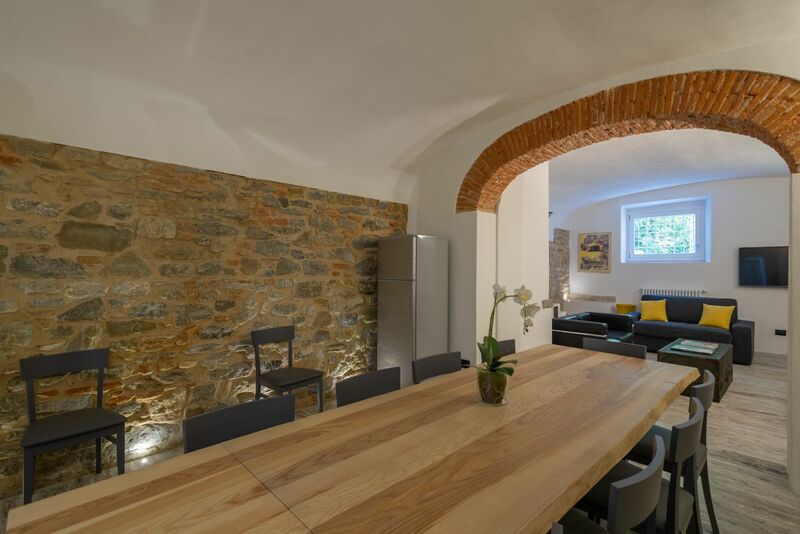 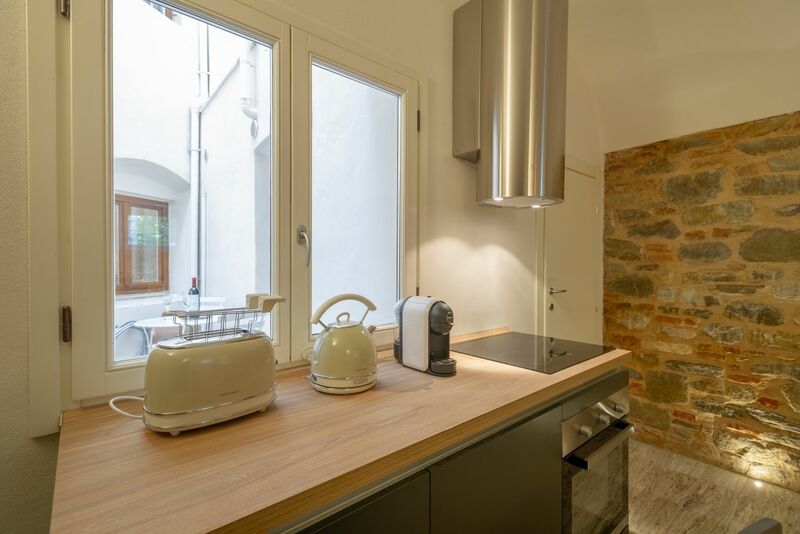 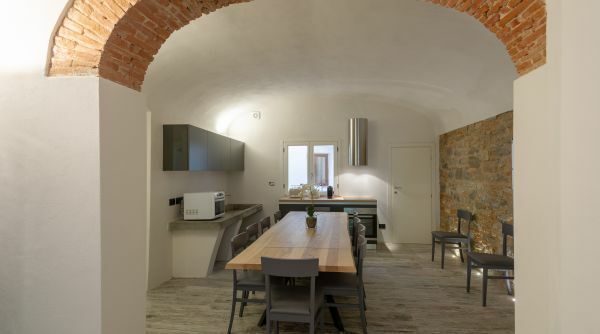 Fully renovated this apartment boast a modern and clean décor along with some more traditional features such as the flooring and exposed stonewalls. 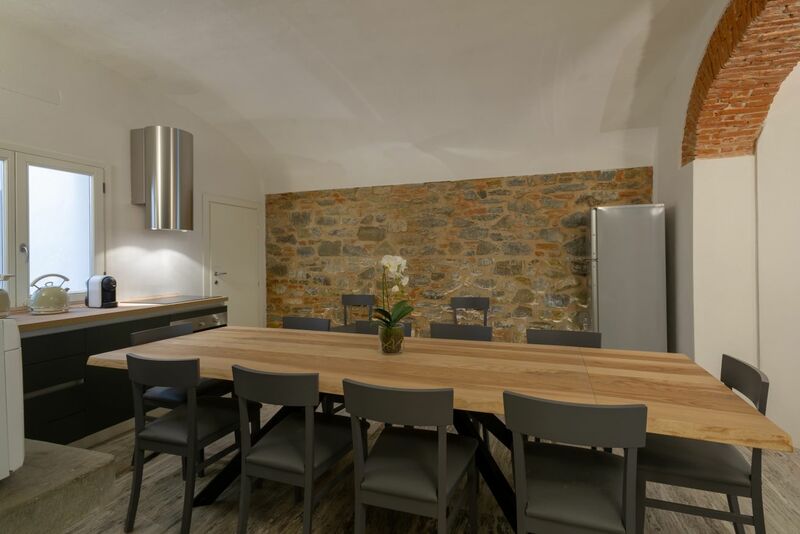 This incredibly spacious semi basement can host up to 9 people making it the ideal choice for larger groups or family holidays, giving its large and welcoming spaces and also the access under request of a grass backyard available under request. 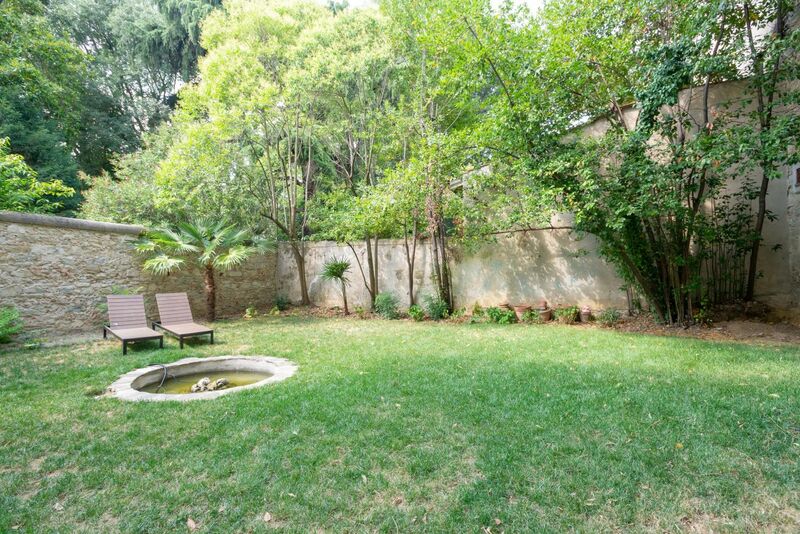 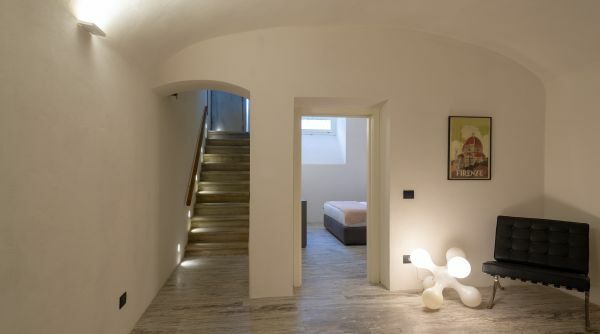 The entrance opens up to a downwards flight of stairs that leads into a spacious foyer. 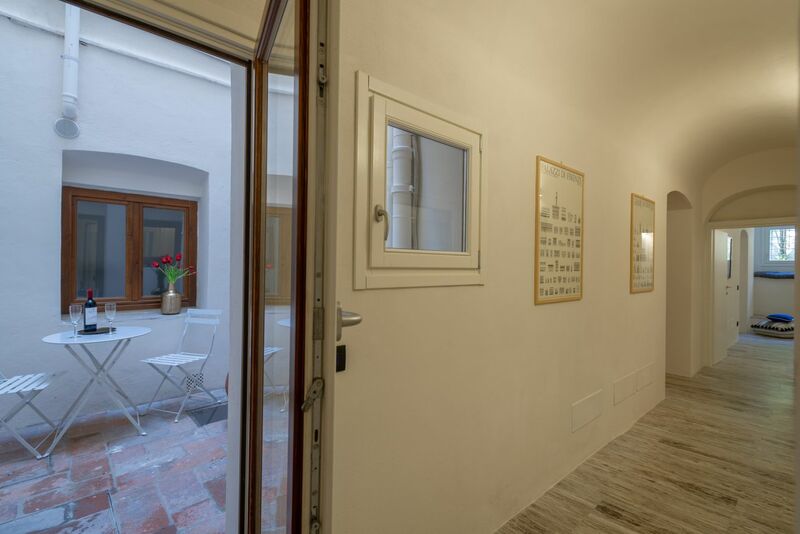 From here, you can access on the left the first 2 bedrooms. 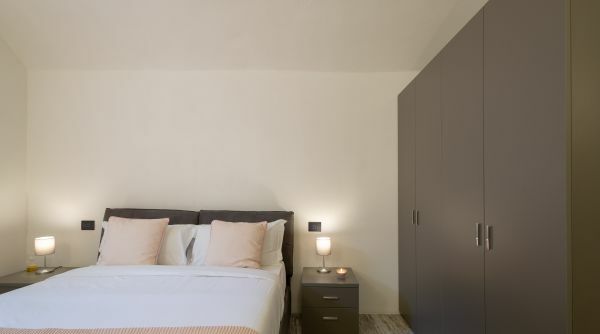 The first one has a double bed, a wardrobe and a chest of drawers. 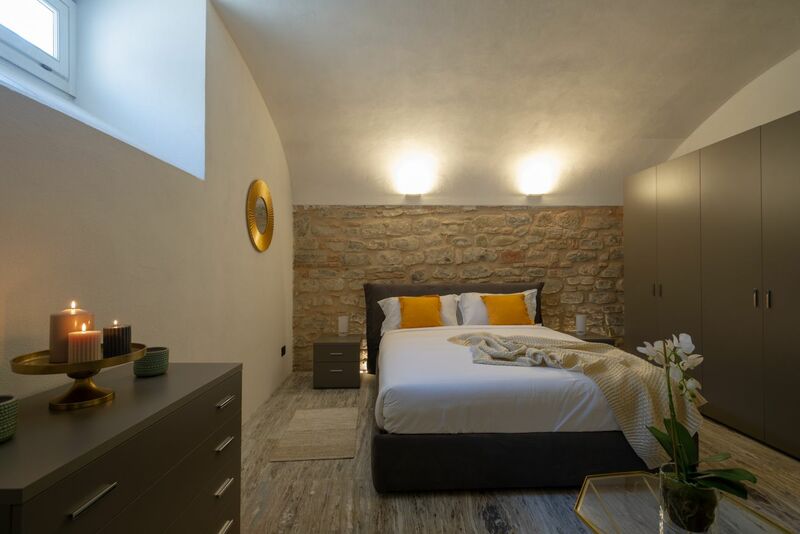 The second is the first one of two master bedrooms. 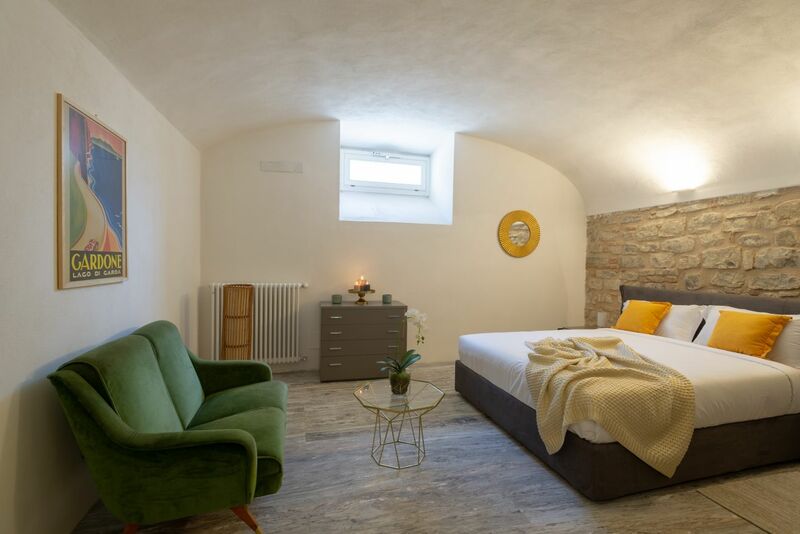 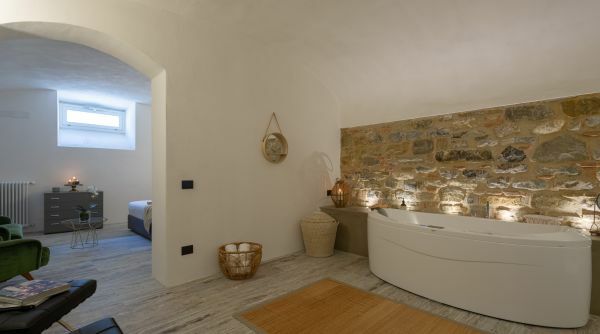 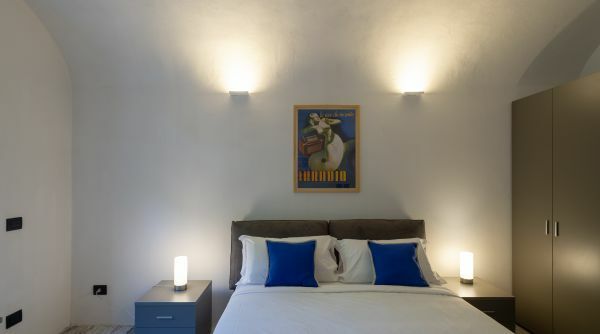 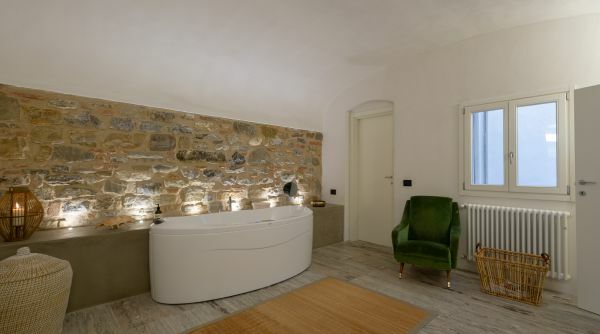 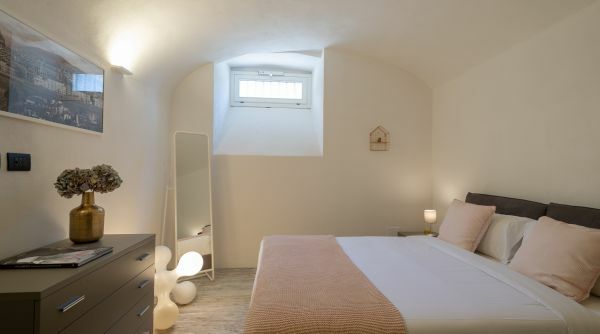 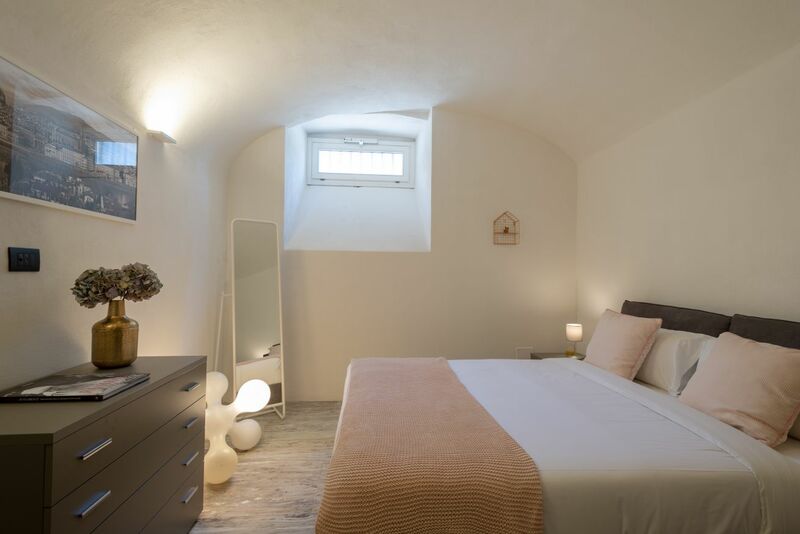 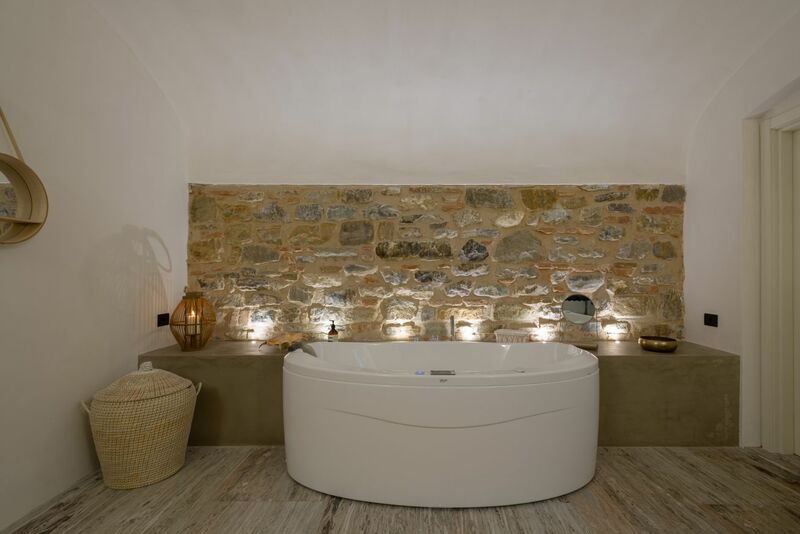 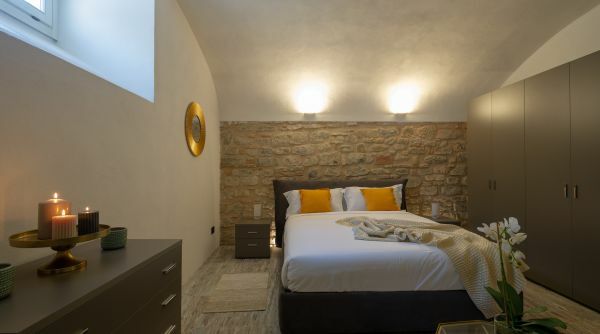 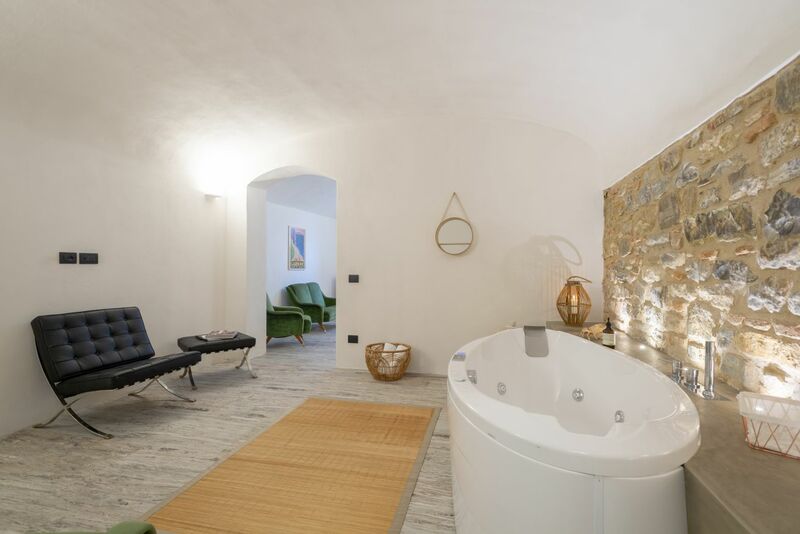 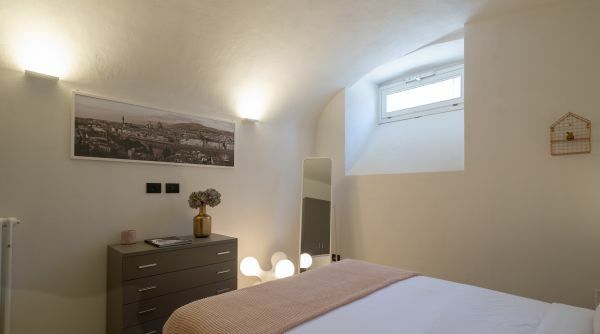 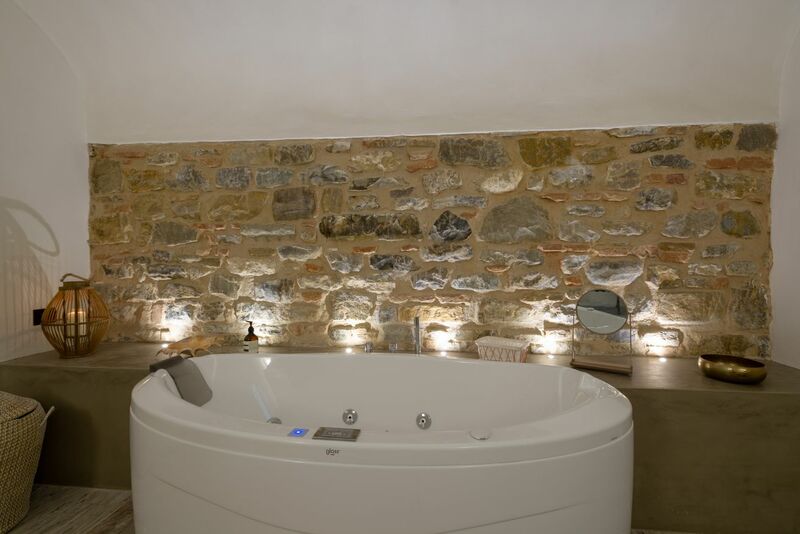 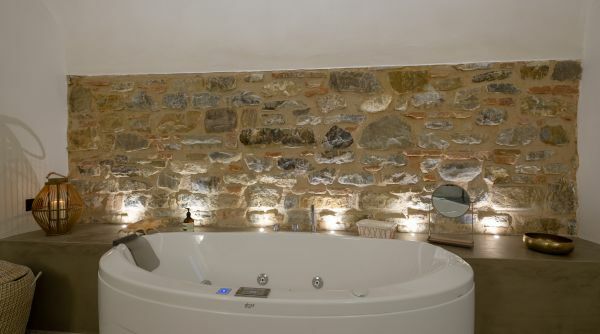 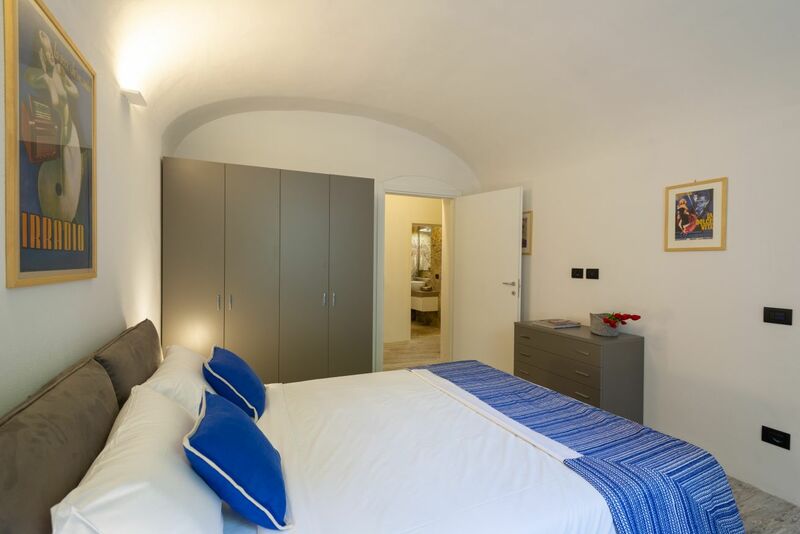 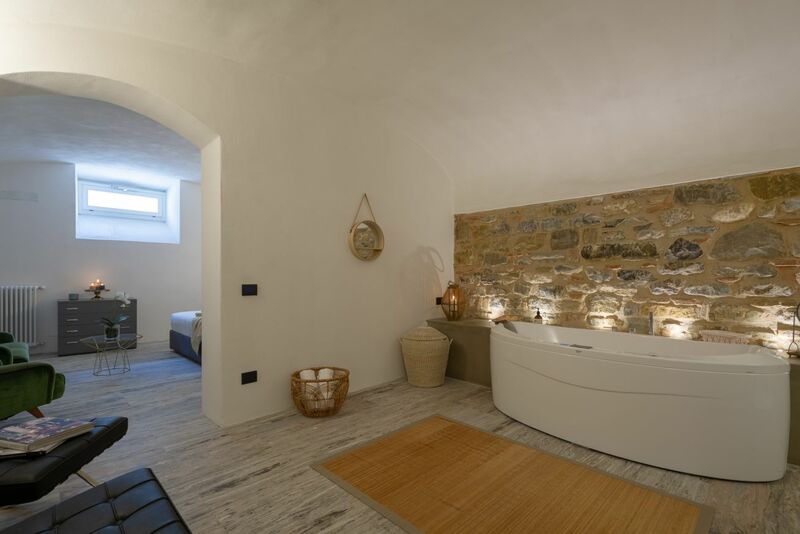 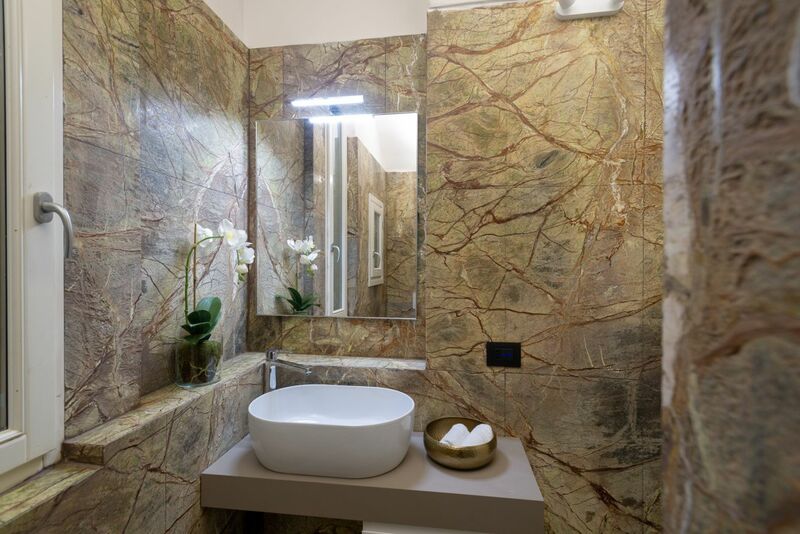 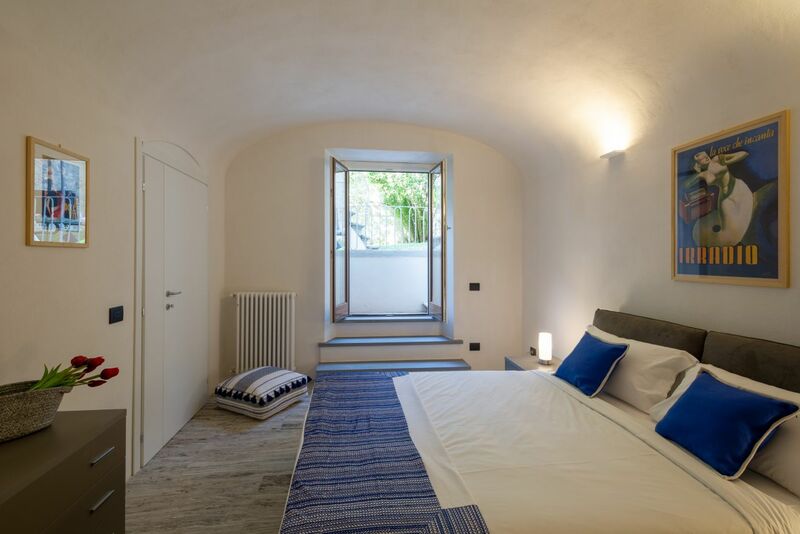 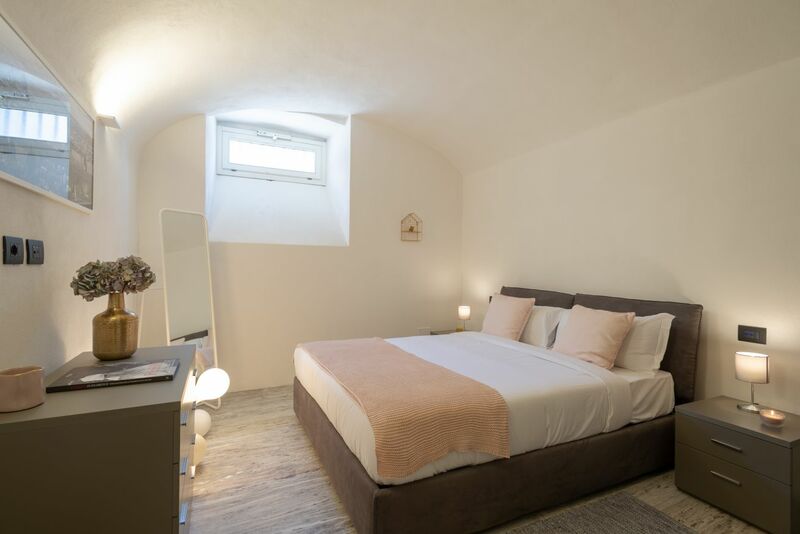 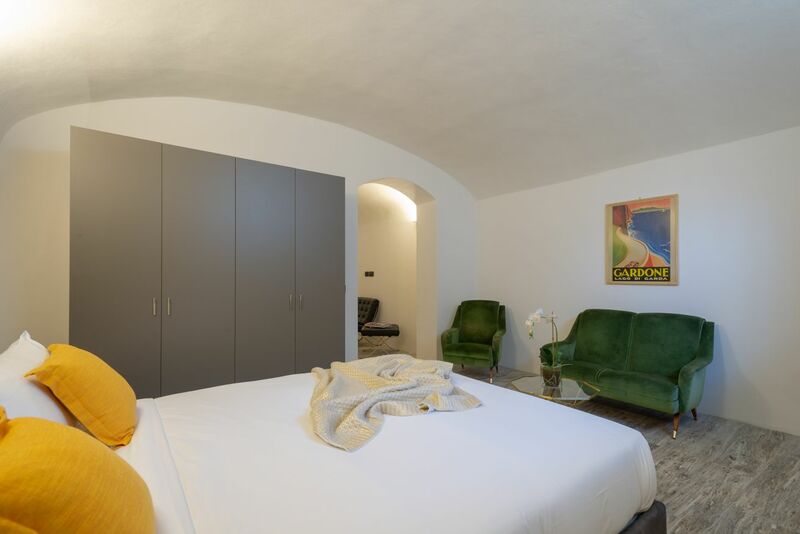 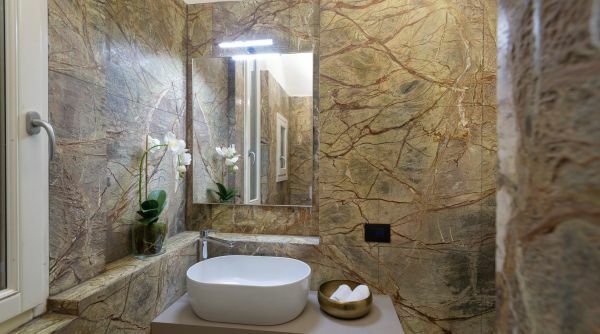 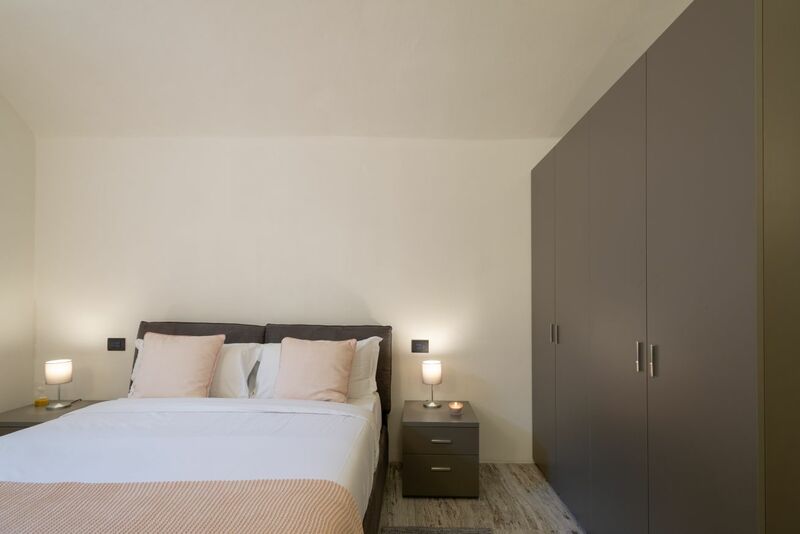 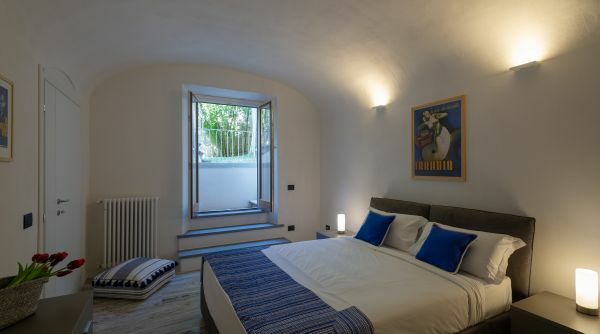 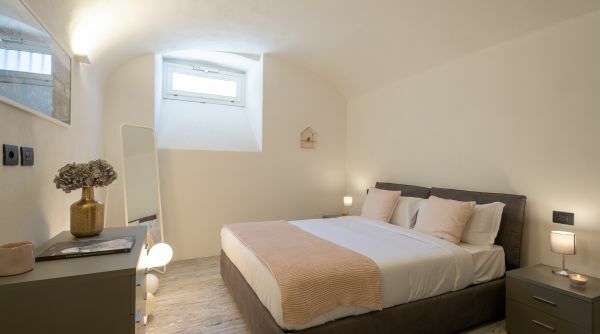 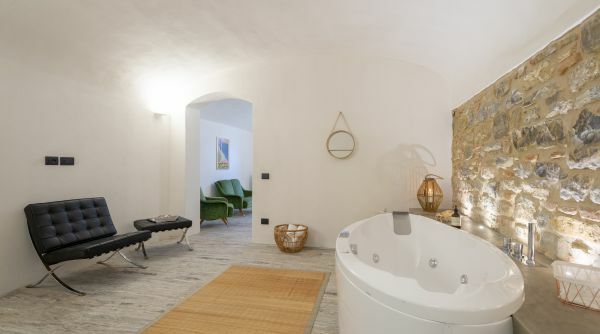 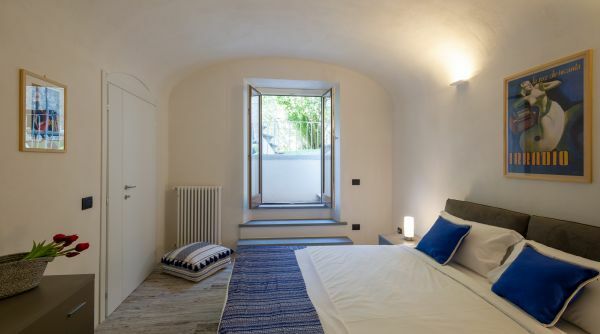 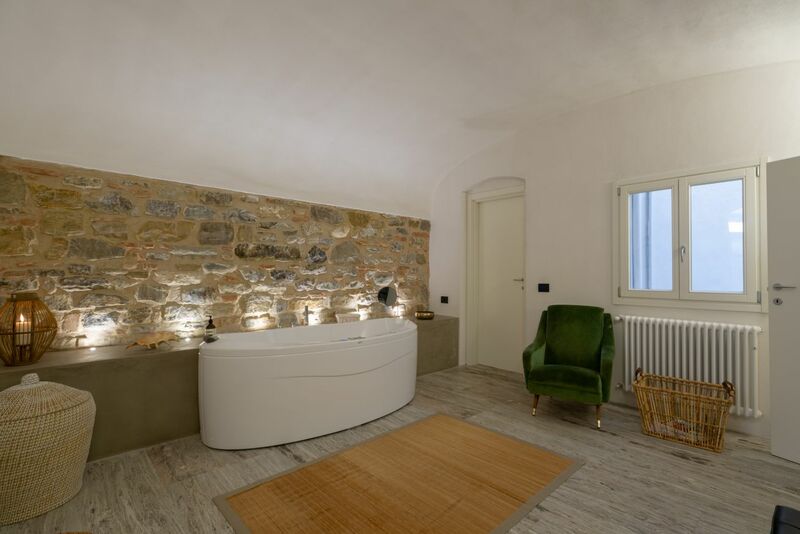 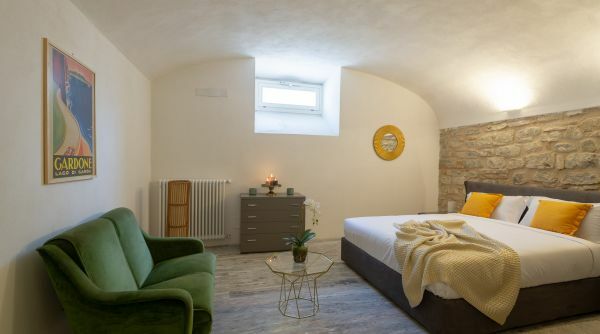 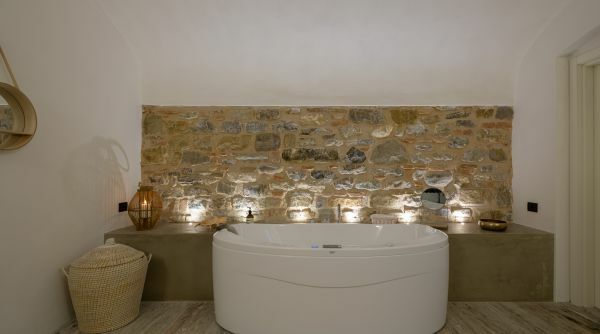 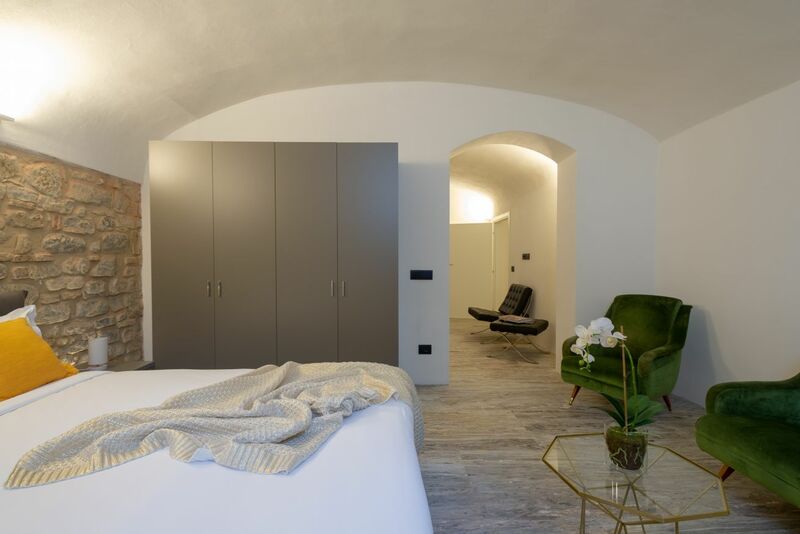 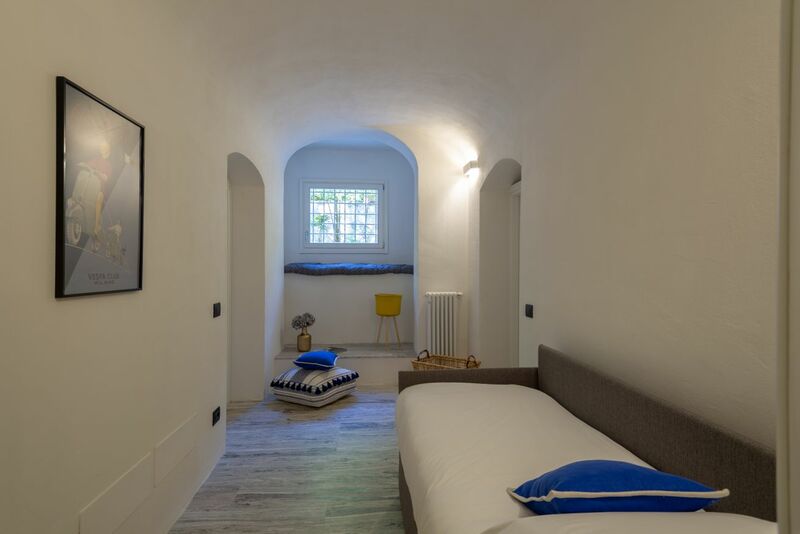 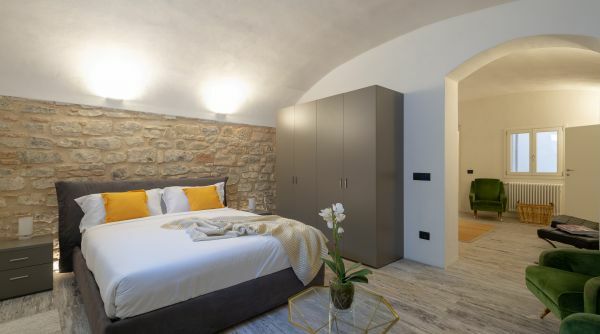 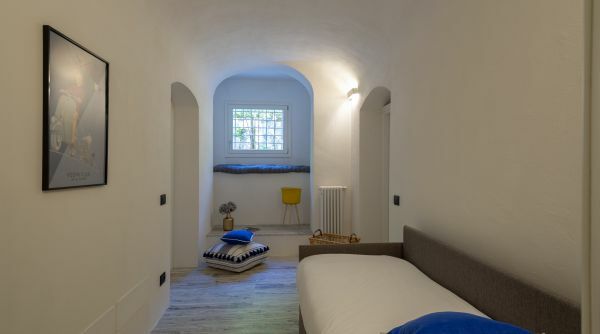 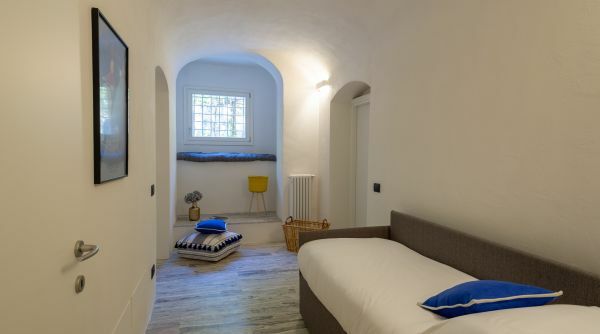 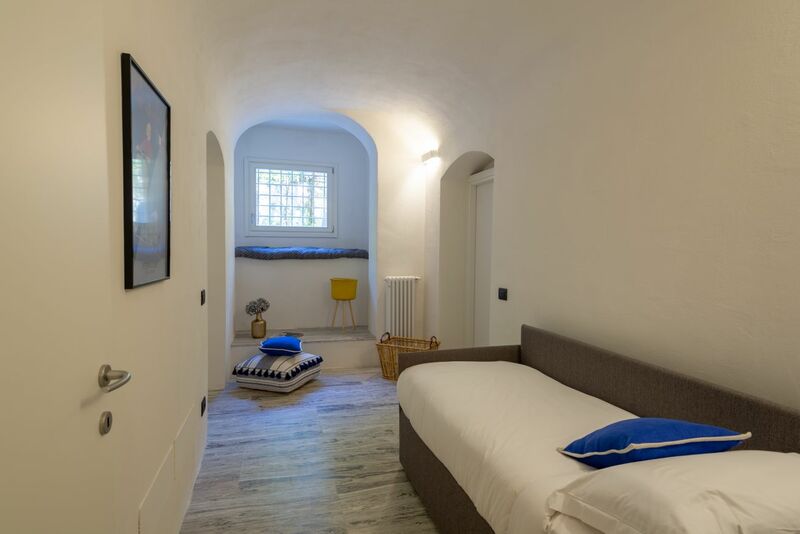 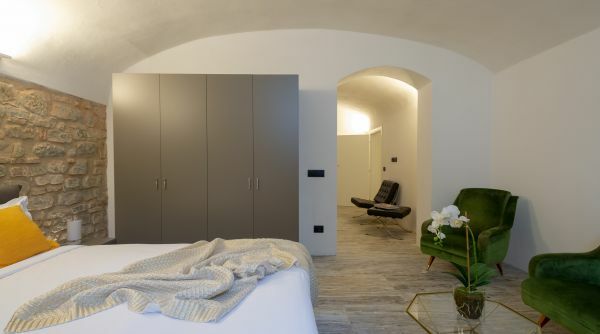 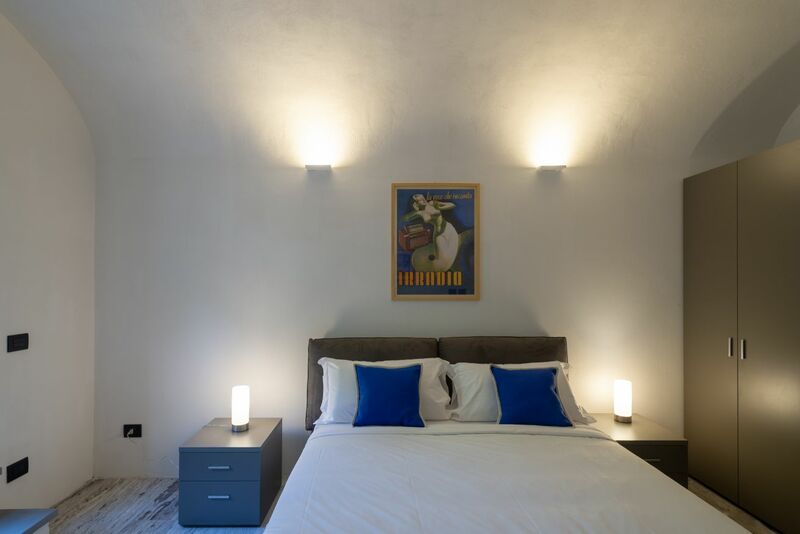 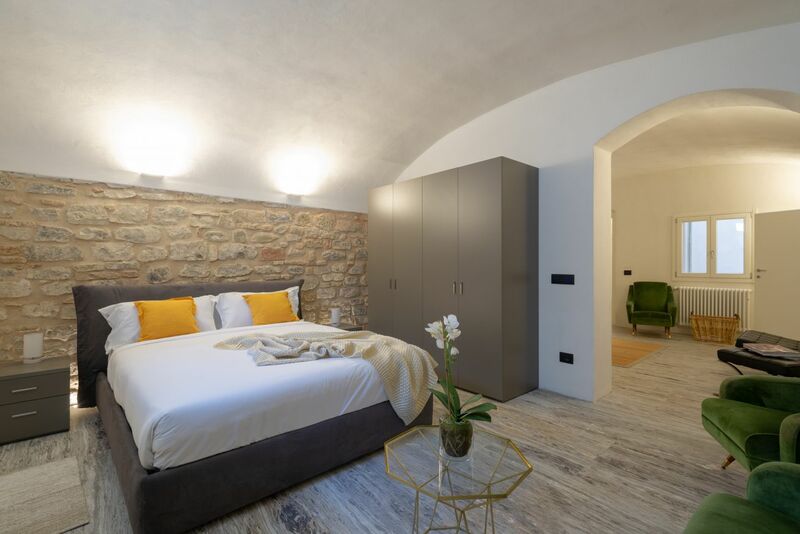 This very big room boast an ensuite bathroom and a fantastic Jacuzzi for you to relax after a day of visiting Florence. 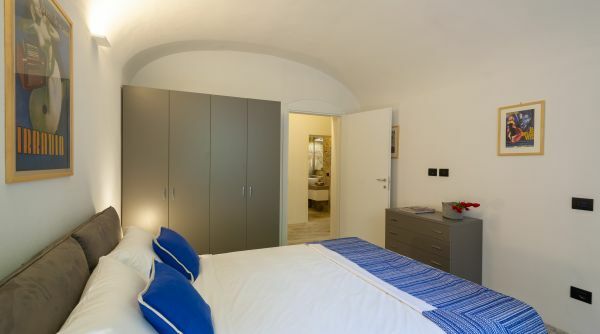 On the left, you will find a double bed and two comfortable chairs, along with a wardrobe and a chest of drawers. 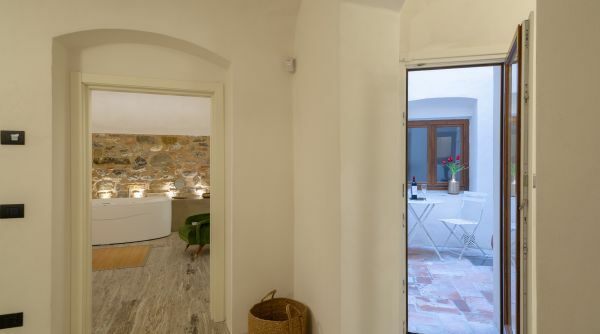 A hallway from the foyer leads into the Kitchen and Livingroom on the left the second master bedroom on the right; at the end of the hallway, you will find the single bedroom. 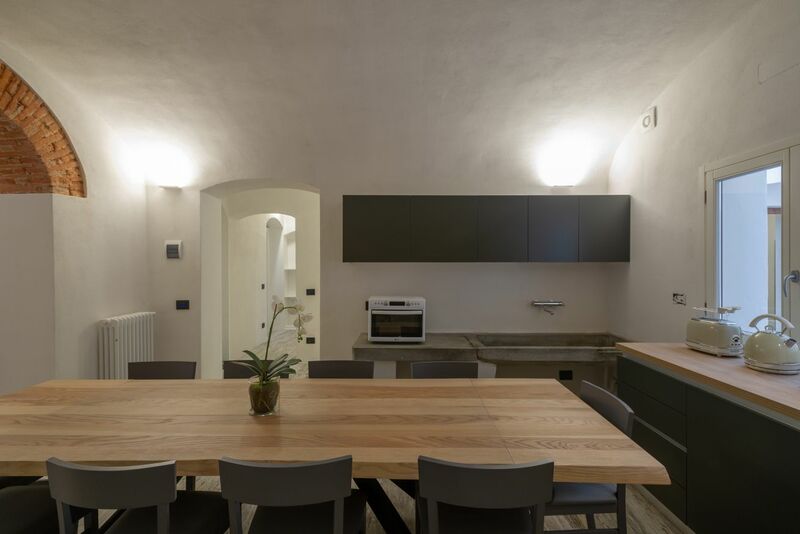 The kitchen is a fully equipped open space finished with an extra-large table that seats comfortably as many as 10 guests. 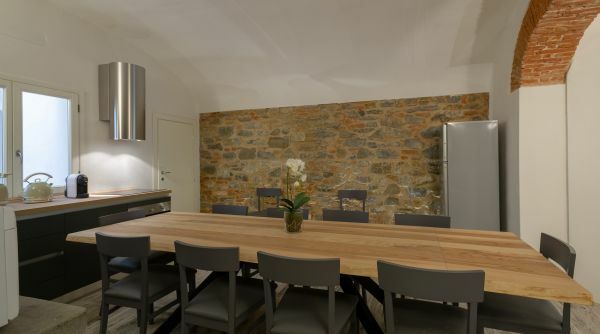 The style of the kitchen combines rustic and modern touches bringing warmth to a wide space. From the Kitchen you can access the living room, also a rustic space filled with touches that renders the atmosphere welcoming yet sophisticated and comfortable. 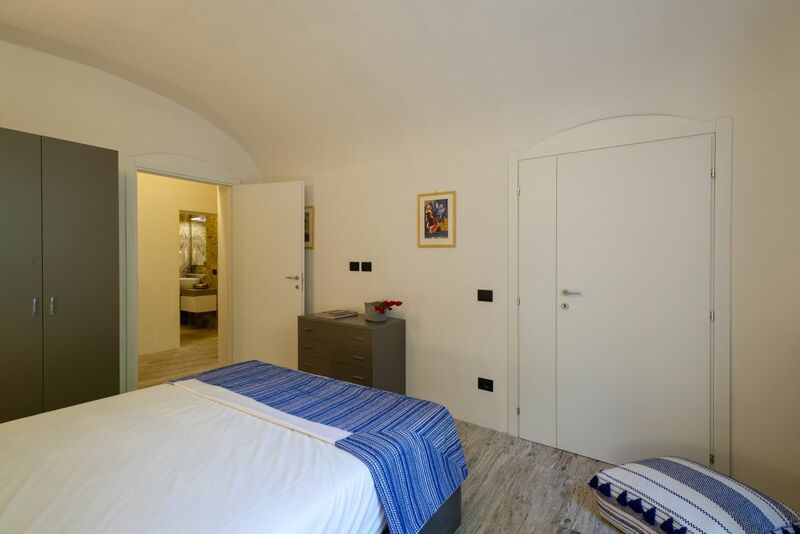 The single bedroom is accessible either from living room or from the hallway. 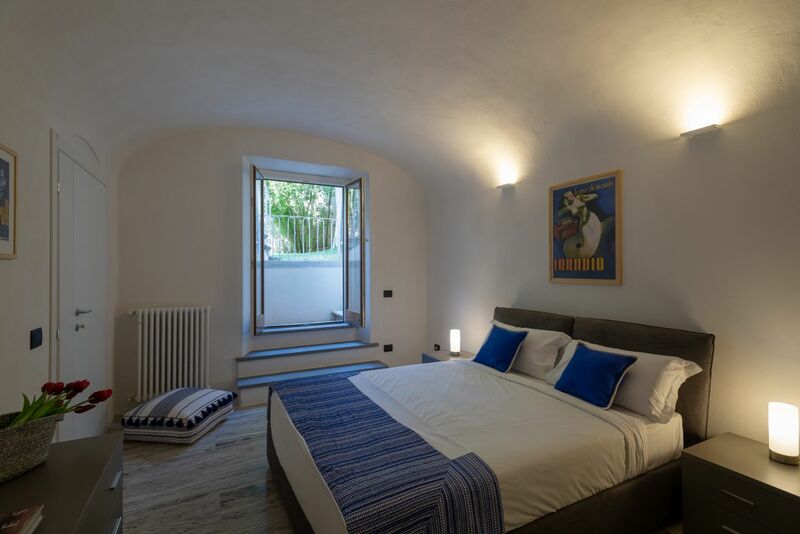 This bedroom is furnished with a single pullout bed that sleeps comfortably two guests. 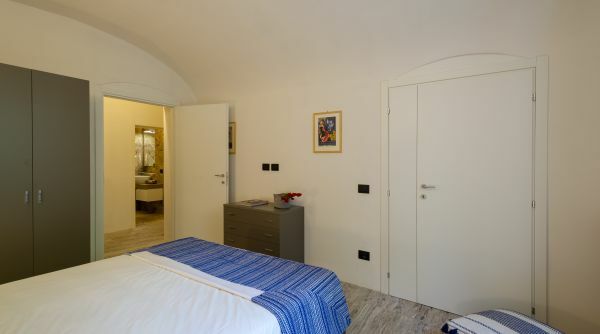 From this bedroom, you can access the second master bedroom (reachable also from the hallway). 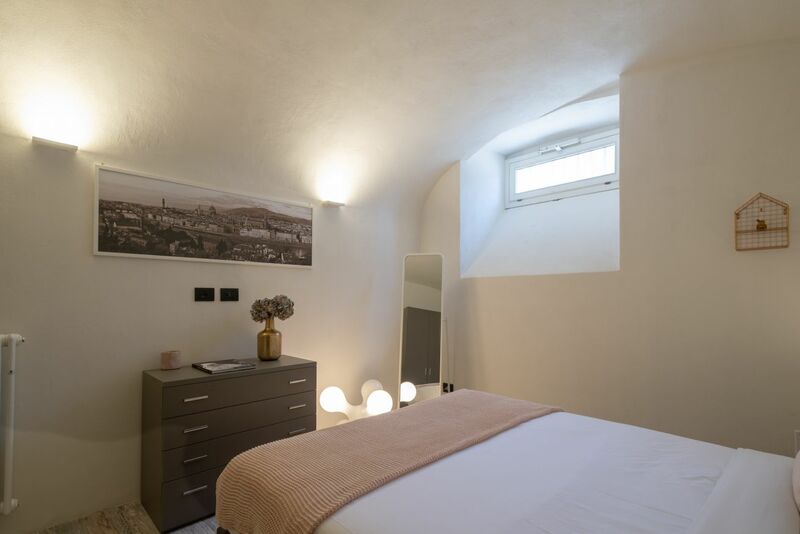 This bedroom is furnished with a double bed, a wardrobe and a chest of drawers and has an ensuite bathroom. 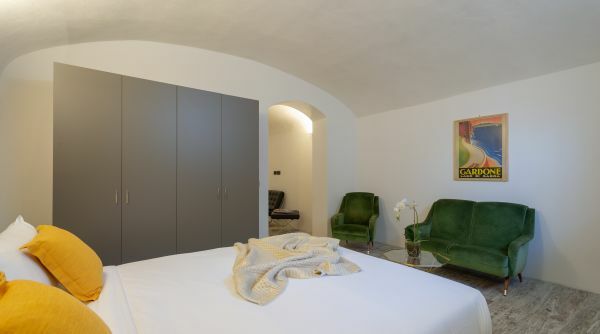 In the bedroom there is a door from which you can access the garden. 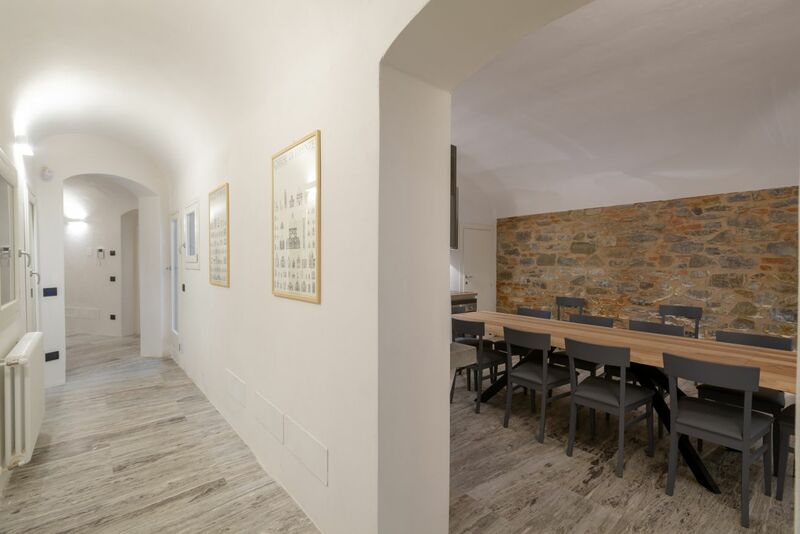 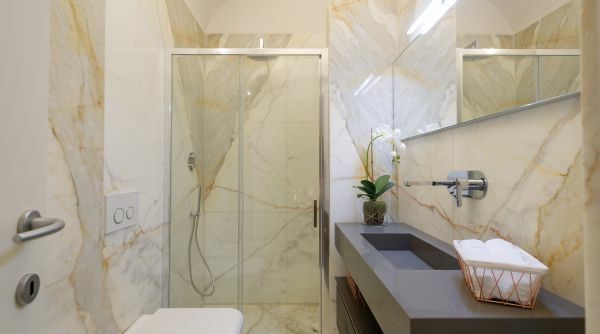 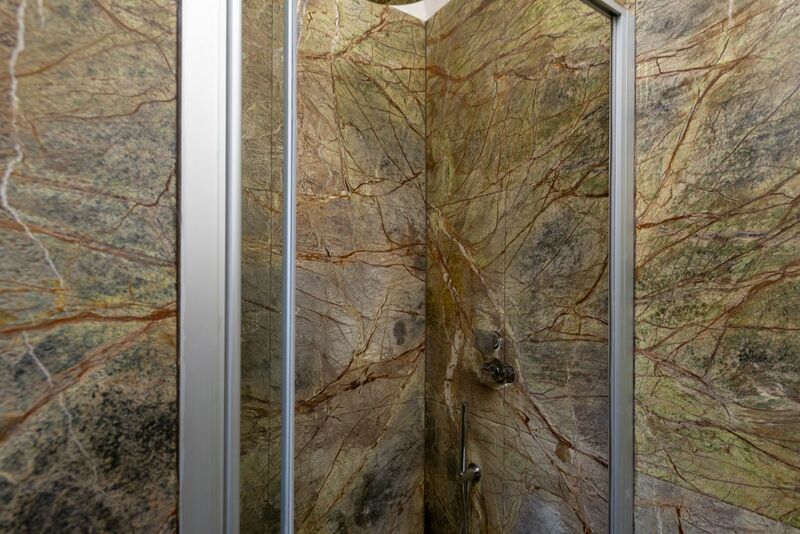 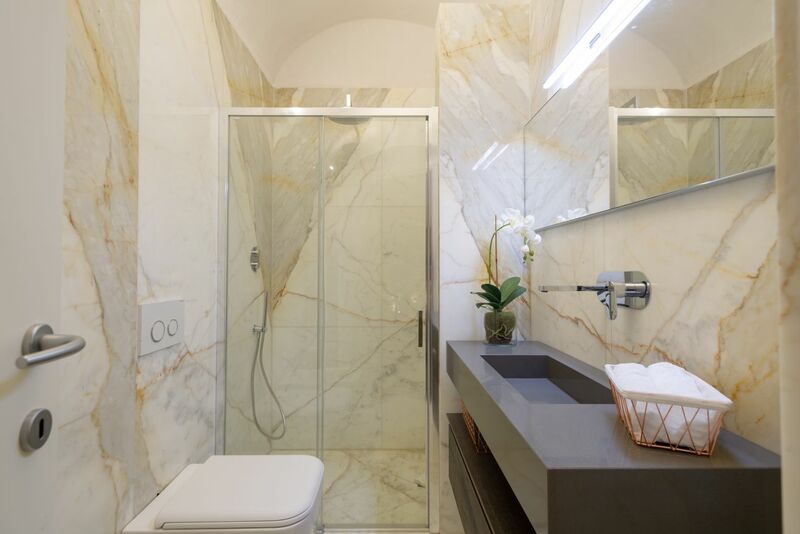 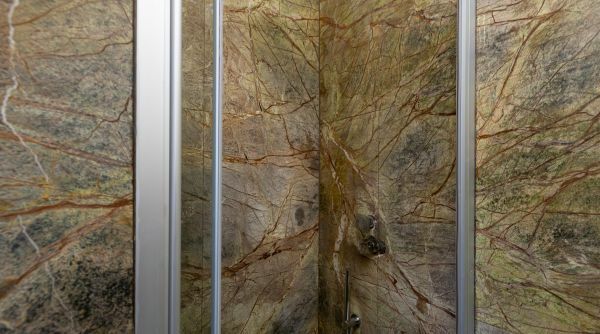 The whole space has been fully renovated with high quality and prestigious materials, addressing every detail in each space. 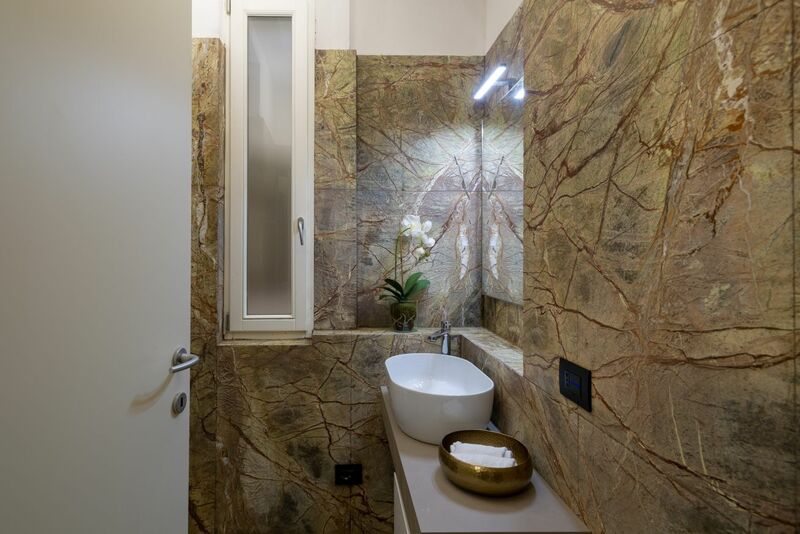 This apartment offers high comfort through amenities such as the Jacuzzi and spacious kitchen but also refinement and elegance. 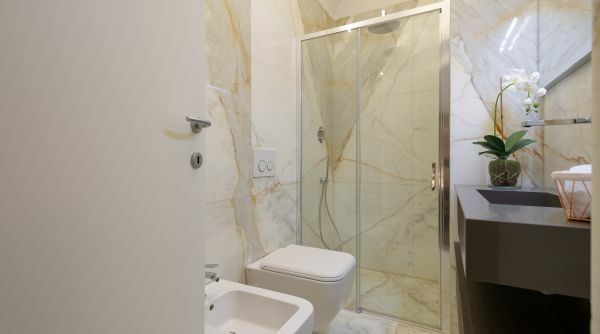 Other relevant features of the apartment are a treadmill for you not to lose your exercise time and a spacious safe in which to store your valuables.